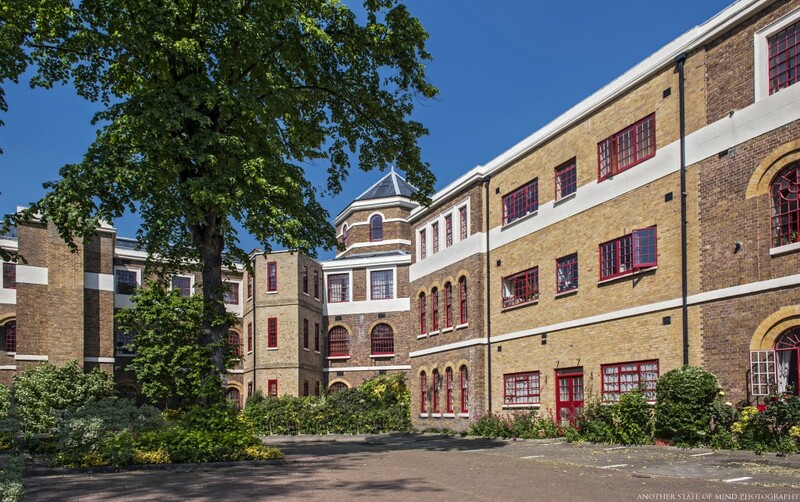 Status: Listed Grade II, two wings, admin and recreation hall converted to housing. Lodges, one wing and some auxiliary buildings still in active in-patient use. 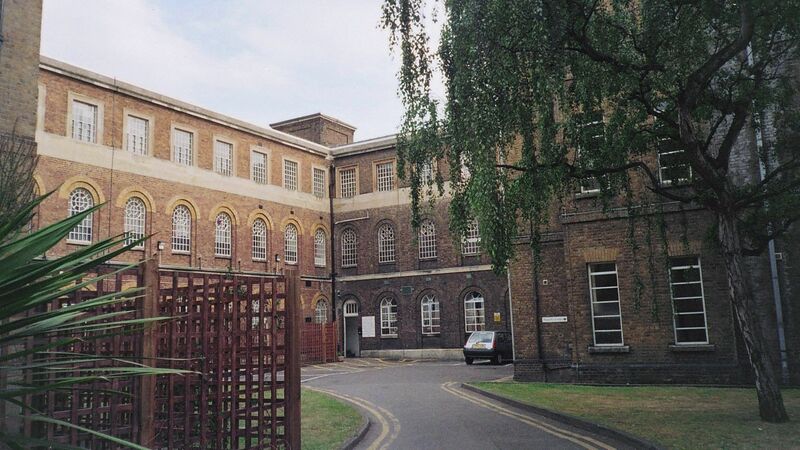 Newer secure unit built on site, and Ealing General Hospital now covers most of former asylum land to the east. 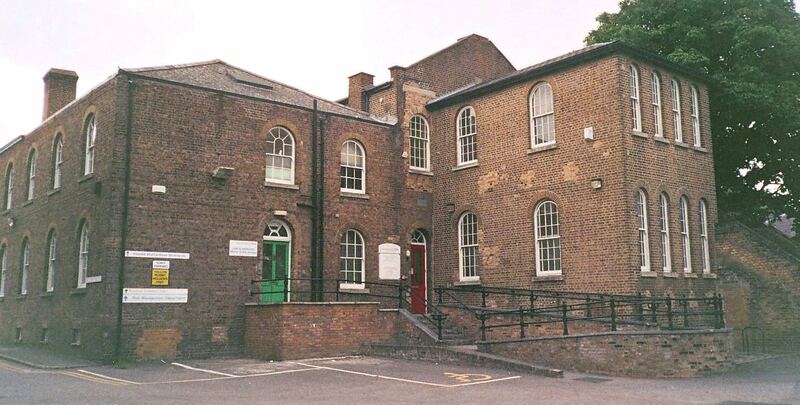 Workshops converted to NHS offices. 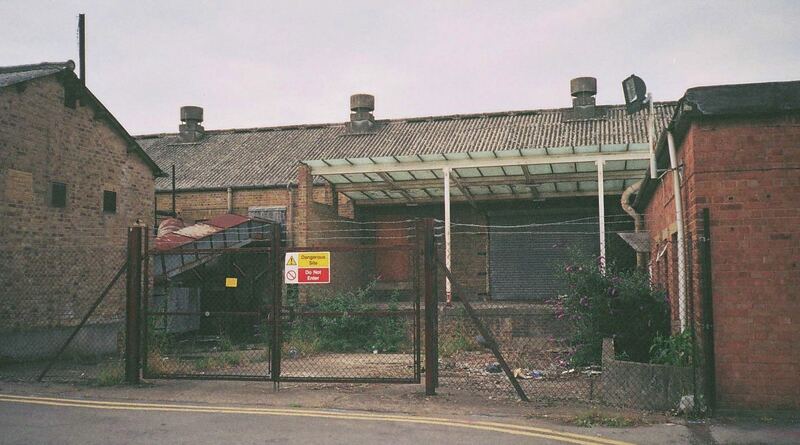 Brewery derelict. 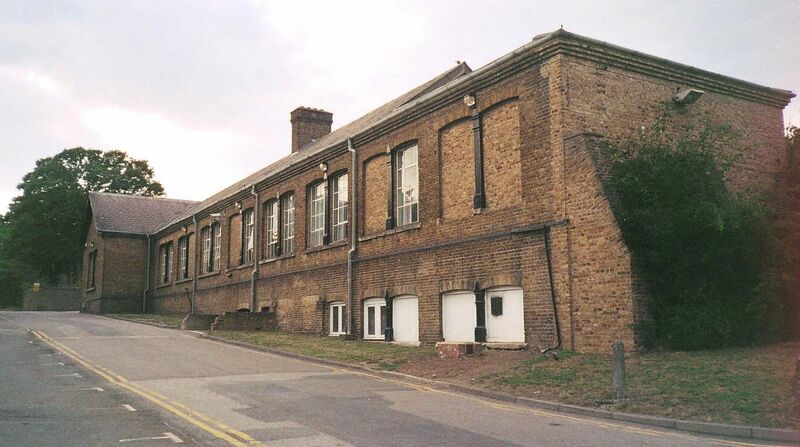 Admissions block, kitchens and large later extensions demolished. 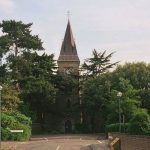 Although Hanwell was opened in the 1830’s as the “Middlesex County Asylum” and its catchment area referred to as “Middlesex”, at that time, London was a city that mostly, but not exclusively, lay within the boundaries of the county of Middlesex. County Councils as we know them today had not yet been formed and the affairs of Middlesex were influenced by powers in “The City” (of London) but when the Middlesex County Council was formed in 1889, around one third of the population and area formerly known as “Middlesex” had already been lost to the city and surrounds that had been designated “London County” the previous year. 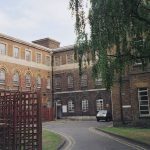 In summary, the Middlesex County Asylum at Hanwell was built to serve what we now know as London and its surrounds, and not some satellite area as its name might suggest, and as such it was, in all but name, the first London County Asylum. 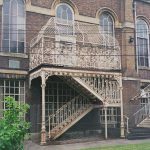 In November 1827 the decision was made to provide the first state-run lunatic asylum for Middlesex. With James Clitherow (1766-1841) as its Chairman, a Committee was formed to look into suitable sites and commission the planning and construction of a building which would eventually dwarf even Royal Bethlem, and for a time become the largest lunatic asylum in the world, housing over 1,000 patients within a decade of opening and nearly 2,500 at peak. 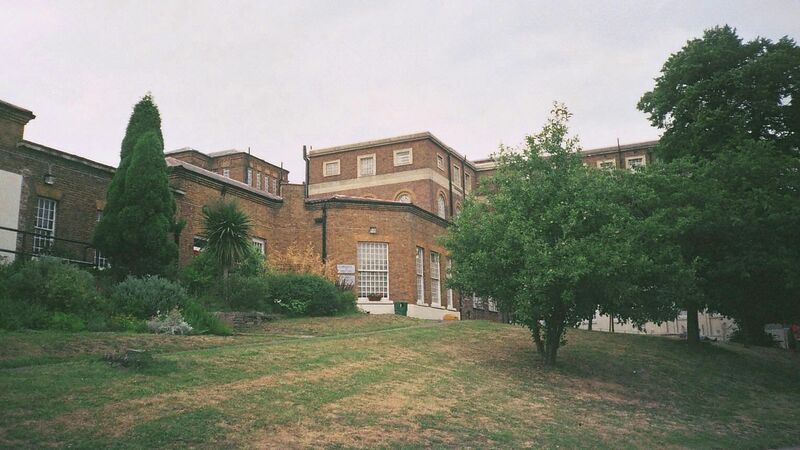 A total of 74 acres of land, 44 of which had belonged to the Earl of Jersey, were purchased at Hanwell and work began on the new asylum in 1829. 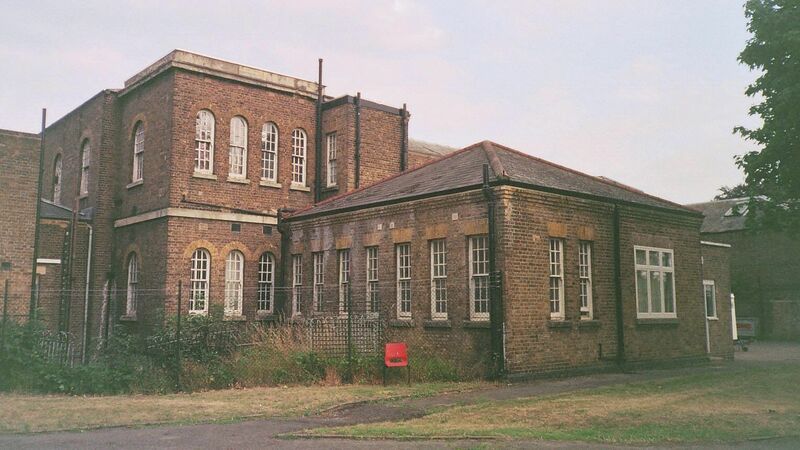 Land at Friern Barnet, in what is now north London, was the only other location seriously considered for the first Middlesex County Asylum, and indeed that is where the second one, Colney Hatch, would be opened 20 years later, despite initially being deemed unsuitable. A Quaker architect, William Alderson (d. c.1835) submitted the winning design out of three finalists bidding for the role. 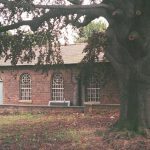 While certainly connected to notable Quaker families, his background and the exact reasons for his remarkable level of innovation remain unclear. 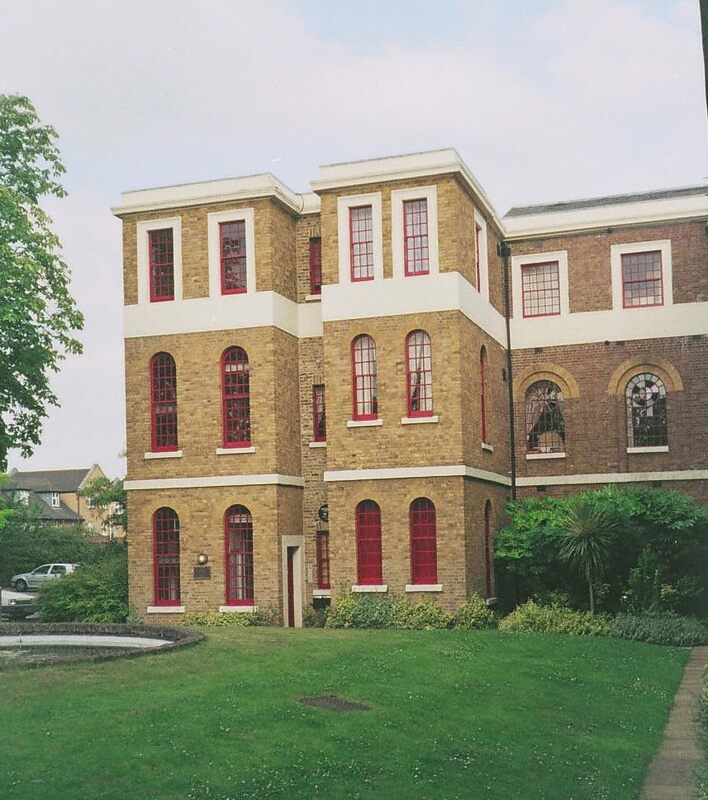 Alderson had never designed any such building before, and indeed his only other known work is the modest Stoke Newington Quaker Meeting House (1828) – perhaps accountable to his death shortly after the completion of his most prestigious project. 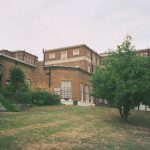 Nonetheless, Alderson expanded upon the best of the existing asylum architecture lineage and delivered a cutting-edge building with some unique and innovative features. 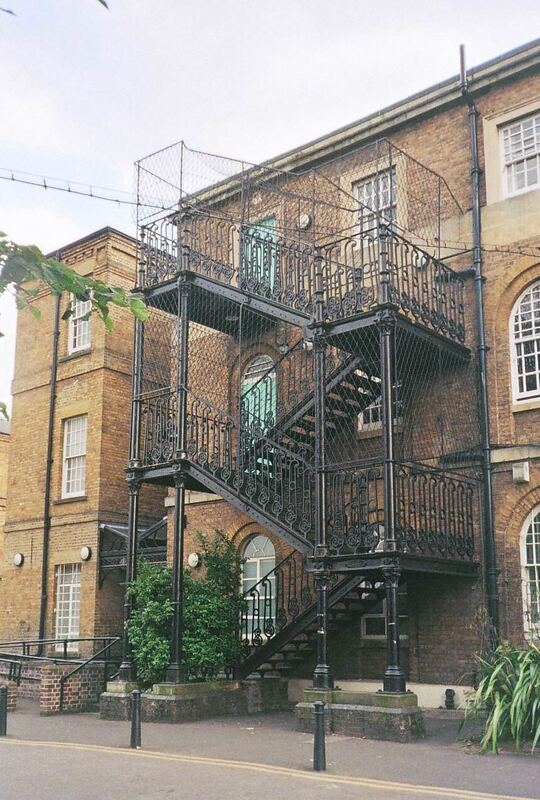 The West Riding Asylum (aka Stanley Royd) at Wakefield would provide the main influence both for Hanwell’s physical design as well as its early management and curative regime. 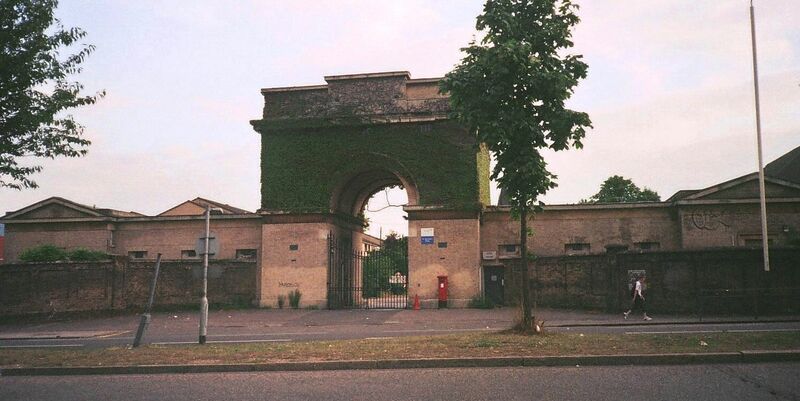 Although West Riding was by then over a decade old, the only other significant variations from the standard corridor layout by the time Hanwell was being designed were the “radial” layouts used at the Glasgow City Asylum of 1814 and Cornwall County Asylum (aka St. Lawrence’s) of 1820, as well as the unusual crescent-shaped plan at the Gloucestershire County Asylum (aka Horton Road) of 1823. These two design variations were quite quickly seen as flawed concepts – at least outside their respective localities. Thus, Watson and Pritchett’s design for West Riding, which opened in 1818, still stood as the pioneering example by the time Alderson was looking for inspiration. 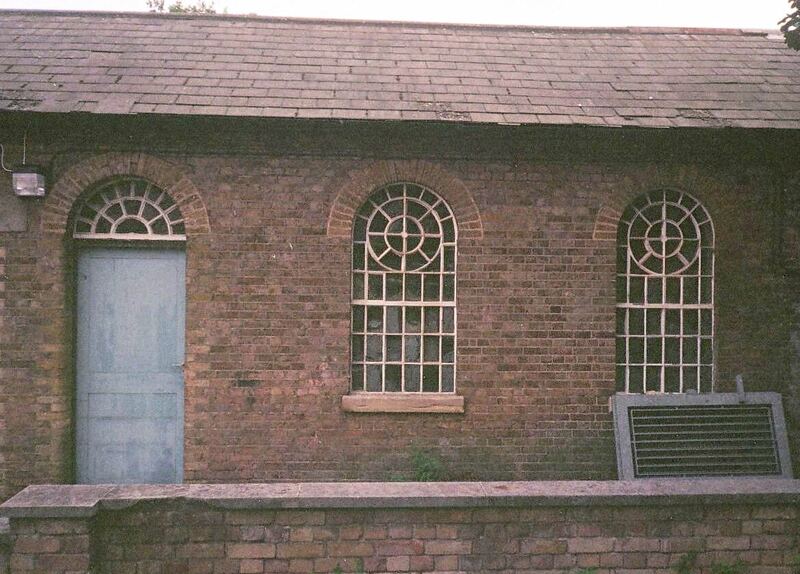 Alderson avoided some of the light restrictions which the bisecting wings at West Riding caused by spreading them instead over a wider area, meaning a significantly larger proportion of the various patient galleries would catch the sun to the south. 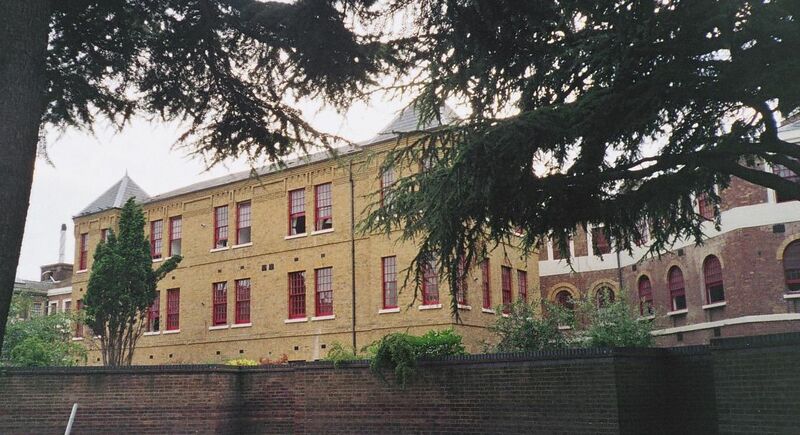 Its staggered U-shaped design kept the furthest reaches of the wards slightly closer to the administrative centre than a linear corridor layout would have done, especially on so large a scale – Hanwell would have been around 1/3 of a mile end-to-end had its wings been designed as two continuous corridors, as at Royal Bethlem. 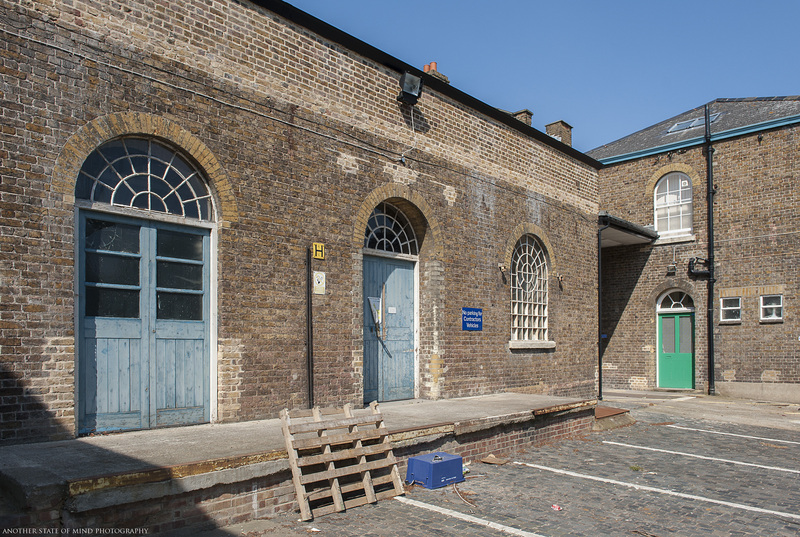 The wards were also arranged so that they naturally formed a part of the division of the areas within the asylum’s grounds, and were also quite deliberately designed to make future expansion of the building as practical as possible. 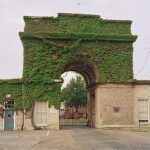 While the latter fact also reflected the grim expectation that the numbers of lunatics entering the asylum would continue to grow, it was also another innovation well ahead of its time. 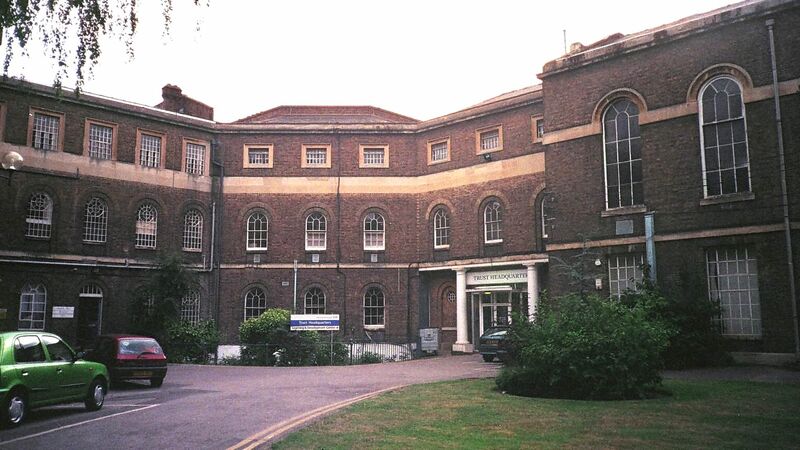 Ease of management, rather than the easing of discomfort, had been exactly the thinking behind the earlier experiments with radial layouts, felt by many to be inhumane even at the time of their creation, and the shift toward considering the welfare of the patients as well as the ease of management is evident in Hanwell’s progressive design; Alderson moved away from the simple concept of mass confinement in the smallest possible area, and easy observation and control of inmates- the two primary considerations behind the radial layout. The irrefutable requirement for security and safety may have been addressed to some degree by the addition of three octagonal towers, each being of 3 storeys height and 80ft in diameter. The towers are often referred to as “panopticon” towers or “panoptical” towers, owing to a confusion between the two terms, but in fact neither term is quite correct; the “Panopticon” was a concept developed in the 1790’s by the philosopher and social reformer Jeremy Bentham (1748-1832), who included utilitarianism among his many interests. While the desire to provide clear lines of sight within institutions of confinement certainly wasn’t new, Bentham sought to devise a method of prison construction based around the idea of a vantage point in the centre from which a clear view into every cell (all of which would face inward to this central point) could be achieved simultaneously. This would create an “all-seeing eye” which would prevent the inmates from ever knowing quite when they were being watched. Bentham hoped his concept might not only make the management of such institutions easier, safer and more humane, but might eventually also lead to complete reform of the inmates through social and behavioural conditioning, as they learned to act as if being watched regardless of whether or not they were actually being watched. And of course, the principal goal was that they might continue the same behaviour once they had regained their freedom. 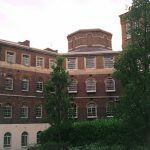 Bentham called his idea the “Panopticon” and it is really quite distinct from anything used in the design of any lunatic asylum, including Hanwell. 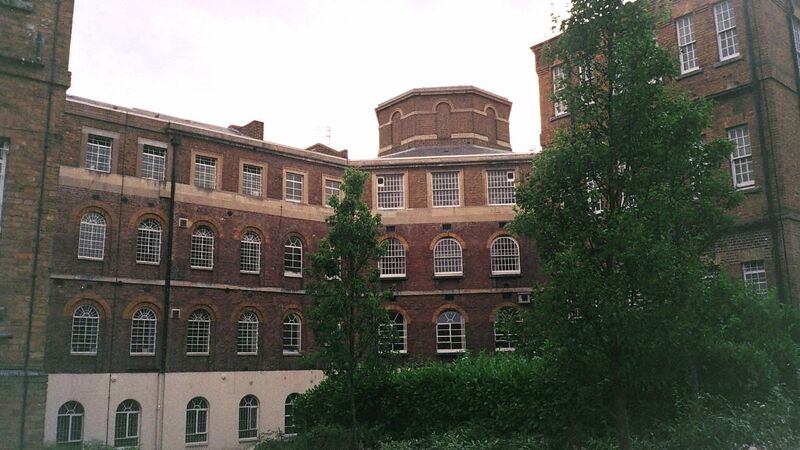 In fact, his Panopticon was never actually completed in any form despite a number of radial-plan prisons (including Pentonville) frequently mis-labelled as such. 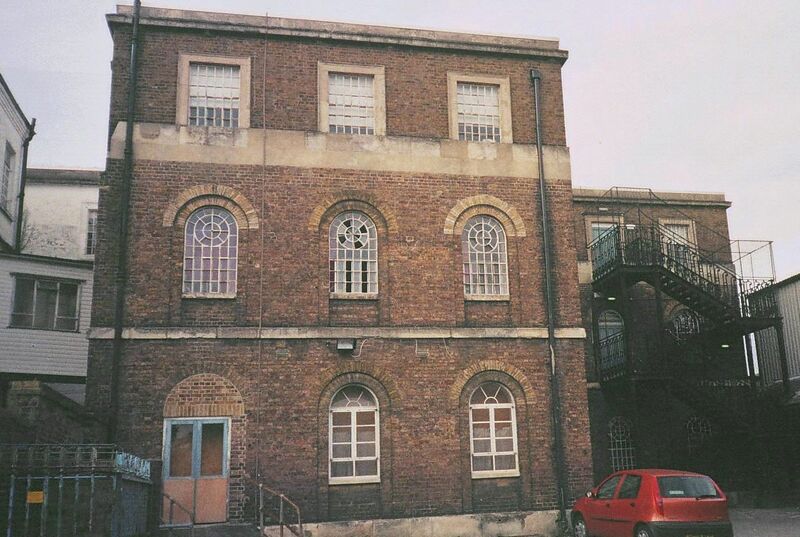 Certain elements of his ideas were incorporated into the on-going evolution of prison, workhouse and asylum design and the “radial” layout remains the standard in prison design to this day. 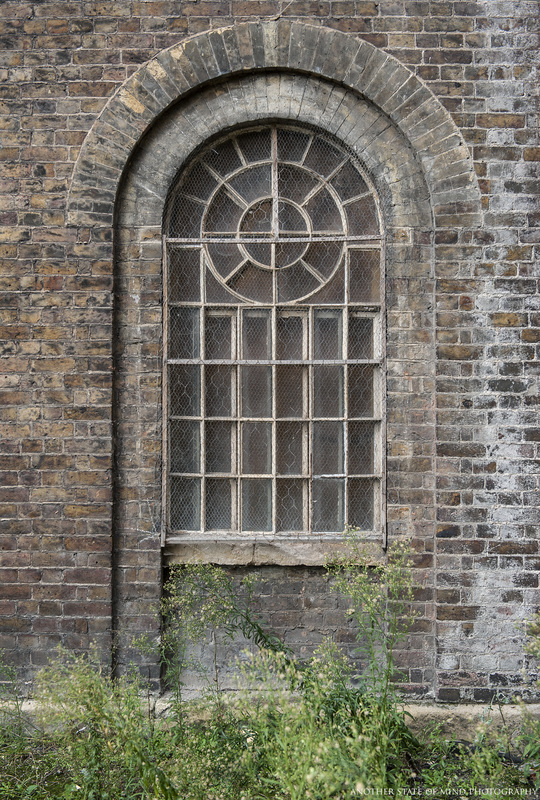 The towers also acted as a ventilation system, pulling air through the building, facilitated by the purpose-made windows which are still in-situ across the first two floors – a cast-iron circular centre can be twisted open allowing air through, without providing any lessening in the integrity of the window’s strength (see below). 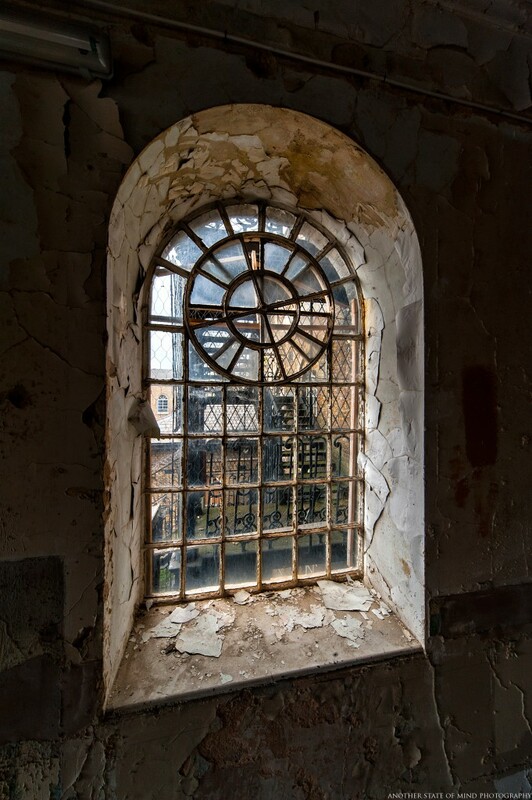 With its “dual cross” layout, the towers at the West Riding Asylum provided a position from which easy access could be maintained over four different axis by just one attendant placed at the centre of the tower. 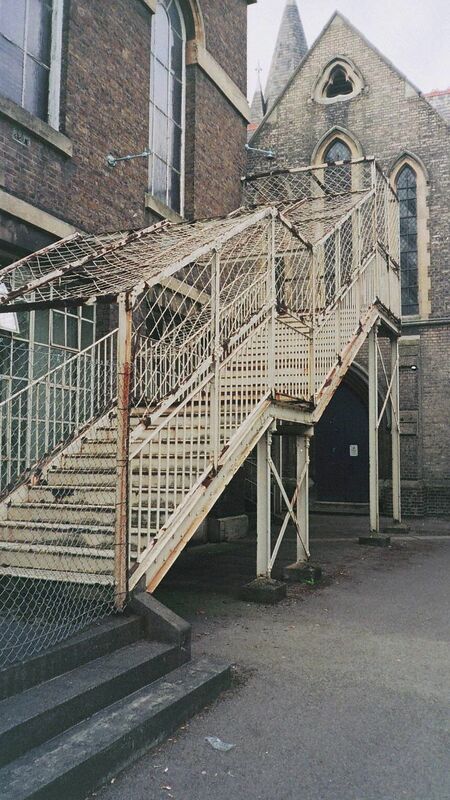 Each tower had spiral staircases running up the centre for the attendant to travel between floors and wards at speed. 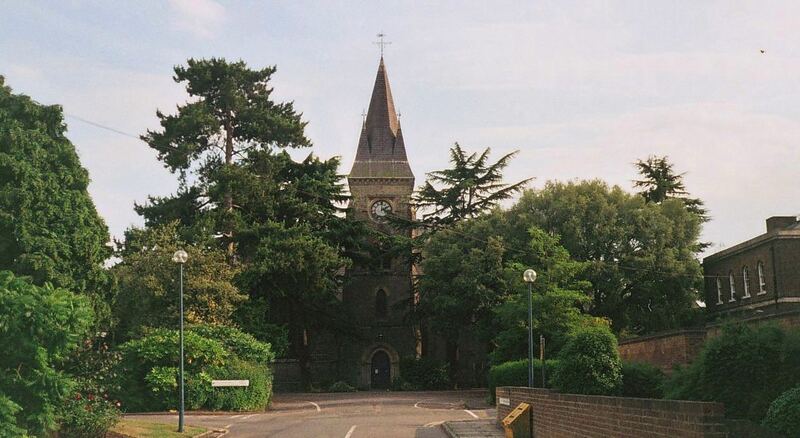 But at Hanwell this was not the case, as the octagonal towers only led in two directions at most, so despite their aesthetic similarities served more as useful “juncture points” for stationing certain other necessities; one tower punctuates the centre of the building, dividing it into its male and female halves, and also serves as the administration block. 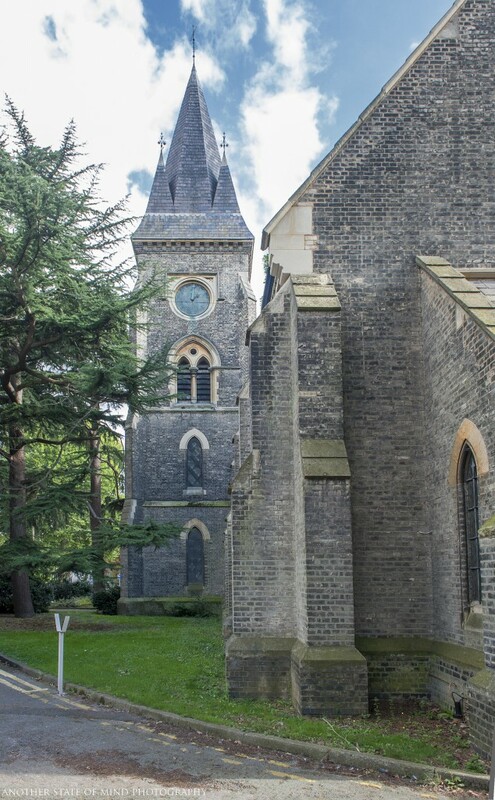 Upon its opening, this first tower contained a room for the committee to meet, the superintendent and matron’s apartments, domestic offices, the original chapel, and day-rooms for the nearest connecting male and female wards. 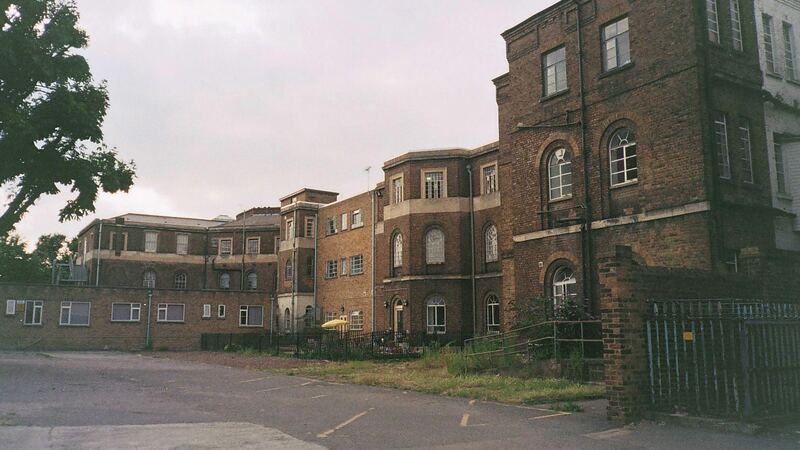 The two other towers sit at symmetrical junctures further back on either side of the building and inside the western one, in addition to communal areas for patients, there was a room for the surgeon, along with a separate surgery and room for the sub-matron. 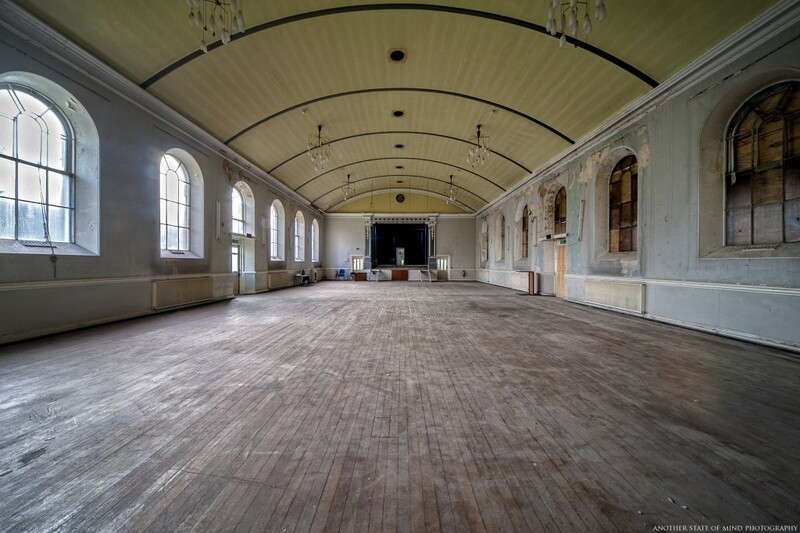 There were also two waiting rooms and two receiving rooms where guests or visitors could be met. 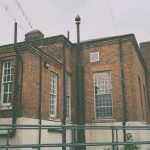 In the eastern tower, another surgery and office was provided, and in the basement there was work space for the joiners, coopers, painters, glaziers and brush-makers. 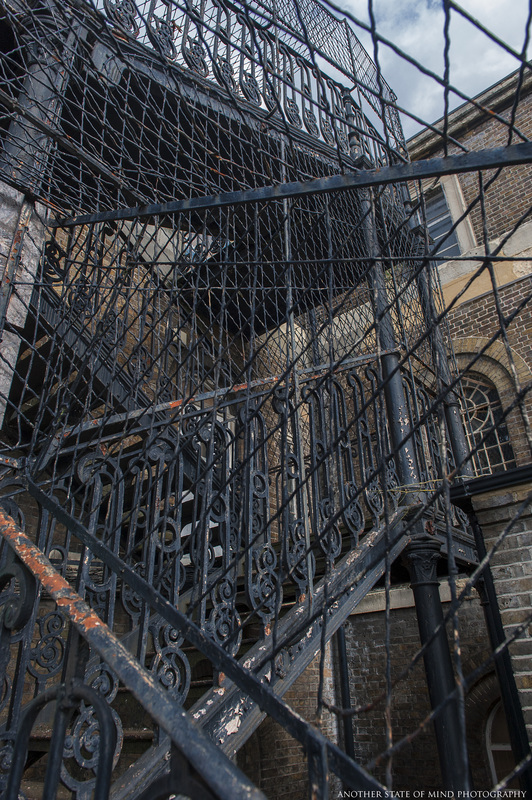 As at the West Riding Asylum, Hanwell’s octagonal towers also had spiral stairwells running down them, allowing attendants to move between floors quickly, thus adding significantly to their functionality in regard to security and safety. 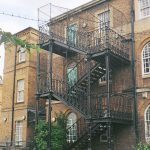 These contained a white mesh of wire which covered the balconies (to prevent patients jumping off the higher floors), a useful feature but one which many visitors would complain gave the towers a rather prison-like atmosphere. 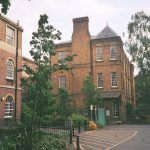 Given the intelligent and thoughtful nature with which Alderson constructed Hanwell in general, it is highly unlikely he would not have realised the primary purpose of the towers, but instead did not actually consider such a function to be necessary – and so their outward design was probably little more than an aesthetic nod to the West Riding Asylum – this theory is given weight by the fact that the admin block in the centre is of the same design, while clearly serving no psuedo-panoptical function whatsoever, and where a rectangular structure would almost certainly have proved a far more practical choice. 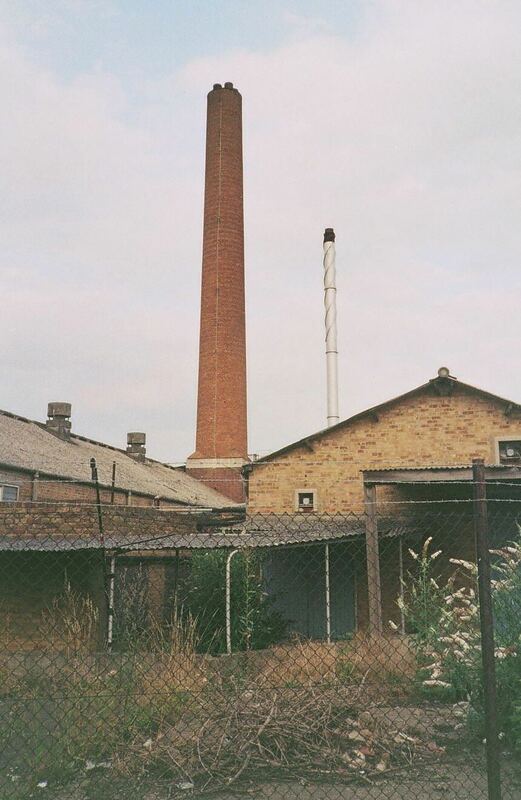 It is also quite possible that the inclusion of the towers was a concession of sorts to the pressure of some other, unnamed party who had been aware of the West Riding Asylum and misguidedly insisted on their incorporation, while not fully understanding their intended function. 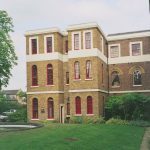 Hanwell opened on the 16th May 1831 to 24 male patients and 18 females, and its patient population grew rapidly over the following decades. 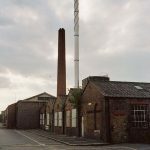 It was the largest and most important building of its type in Europe and the first of the “mega-asylums” which would become a domineering presence on both the physical and psychological landscape of Britain for the following 150 years. 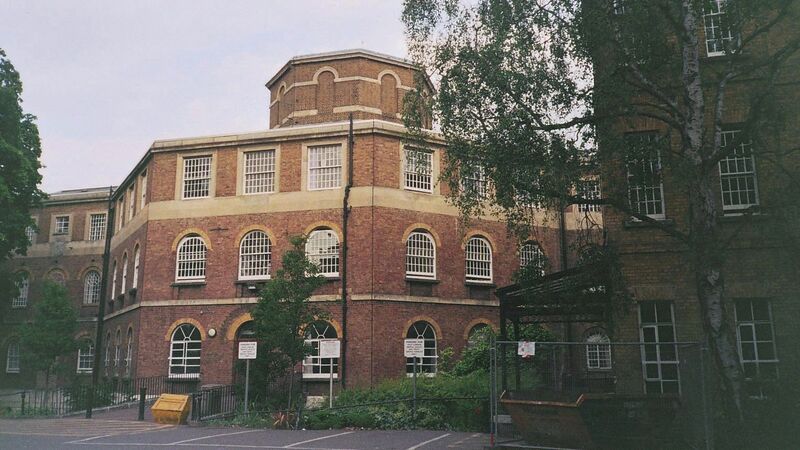 Hanwell itself is built in a muted neo-classical style from yellow London Stock brick, with the octagonal towers being of three floors and the connecting wards were originally of two floors (later expanded upwards to three), with a basement. 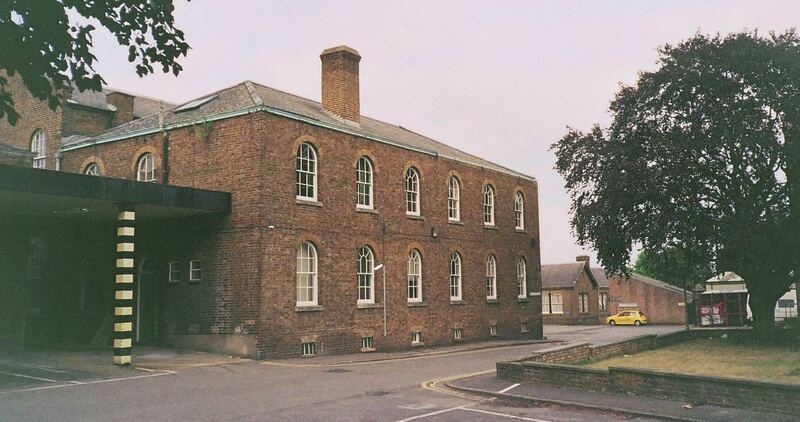 The central tower/admin block, aside from its unusual octagonal shape, was very plain – a simple arched doorway with a stone pediment and semi-circular brick-arches over the windows being among the few decorative touches. 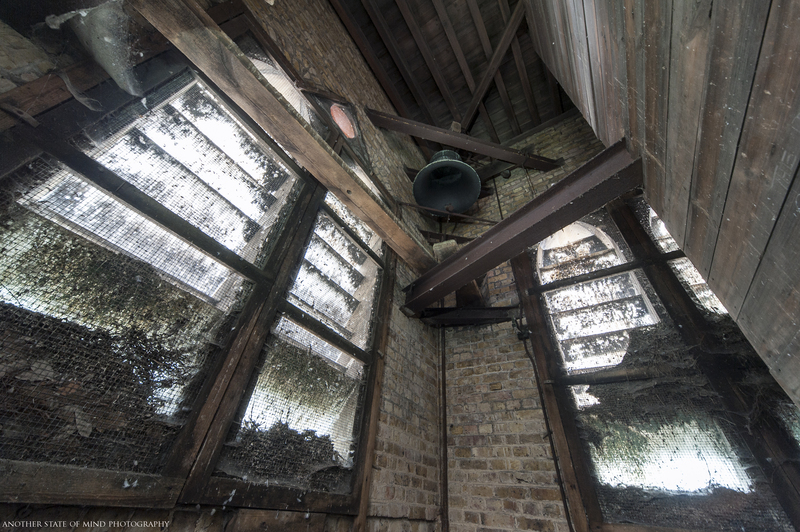 An ornate clock enclosed in a wooden housing sat at the top of the tower, which also featured banding of a lighter-coloured brick. The wards, male to the left (west) and female to the right (east), were of similarly plain design. 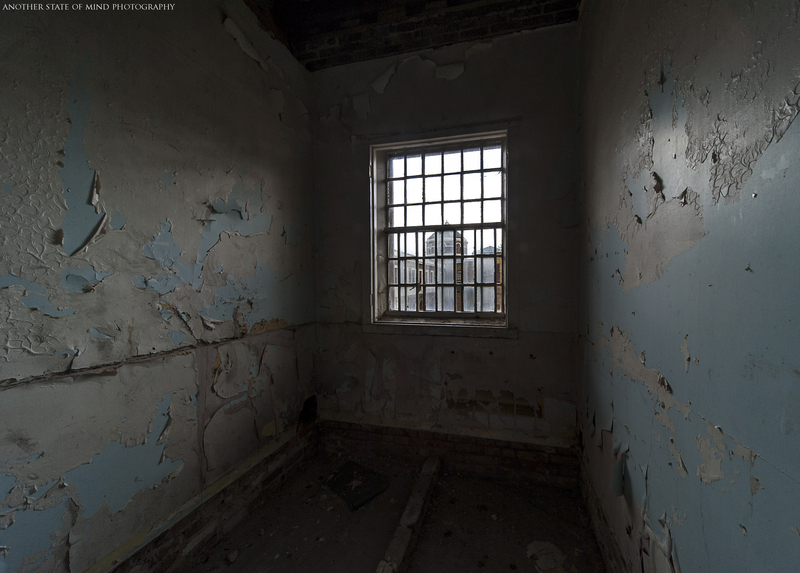 Each was divided into individual patient rooms and some dormitories on the north side, with a 10ft wide gallery and day-rooms facing south. 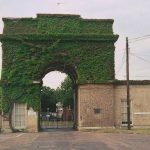 Large, walled airing/exercise courts faced the river to the rear (south), and surrounding these, cultivated and pleasant grounds extended into fields which were used for the employment of patients, grazing cattle, and growing crops. 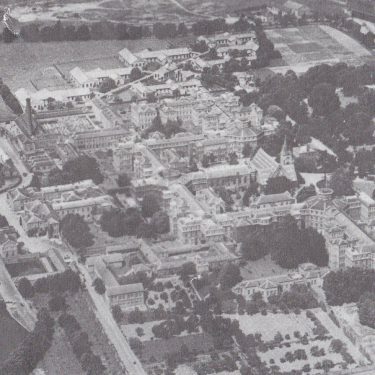 A few of the larger asylums stretching right back to New Bethlem (1676) had incorporated spaces intended to allow certain goods and services to be provided by the asylum itself rather than buying everything in from outside at greater cost. 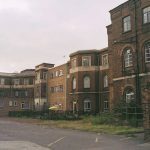 But Hanwell was planned on a far larger scale than anything ever built before, and was the first asylum designed to be as close to a fully-functioning micro-community as possible. 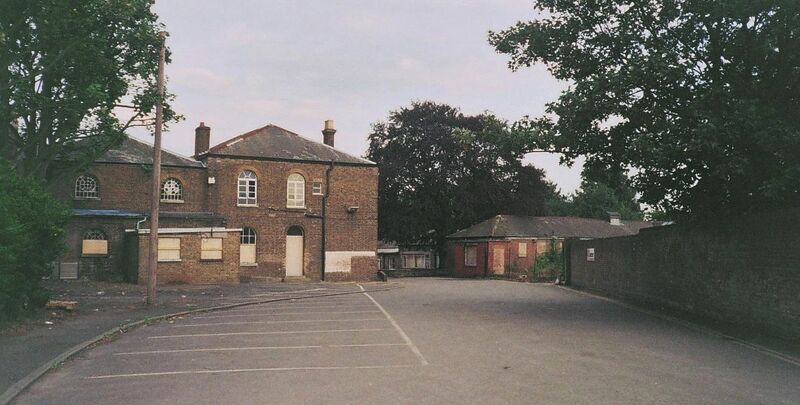 As well as providing accommodation and amenities for all staff and the usual dining rooms, sculleries, storage rooms and wash-houses seen in most of the other large asylums built by that time, Hanwell also incorporated a brewery, bakery, apothecary, printing rooms, tailor, cobbler, upholsterer, stables, forge, piggery, carpentry shop, plumber’s shop, tinman’s shop, kitchen gardens, surgery, glaziers, library and coopers-shop; a dentists and an opticians were also later introduced. 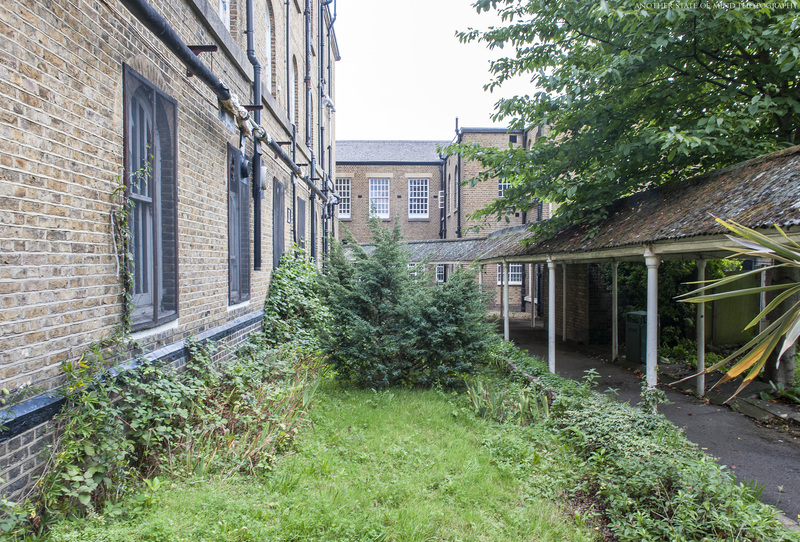 Two kitchens were originally built, one for the male and one for the female side, but this choice later proved to make life unnecessarily complex, and only the eastern one was actually used for cooking, while the other was soon converted into another ward block. 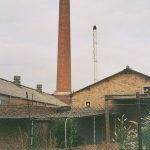 There were also various farm buildings including a cow house and a hen-house with hatchery, an aviary, a fire station, and the asylum’s own gasworks. For recreation, there were bowling and croquet greens and pleasant shaded walks around the ground. 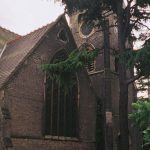 There was also mortuary (or “dead house” as originally described), and a burial ground near to the canal in which the paupers not claimed by family or friends after death would be buried. 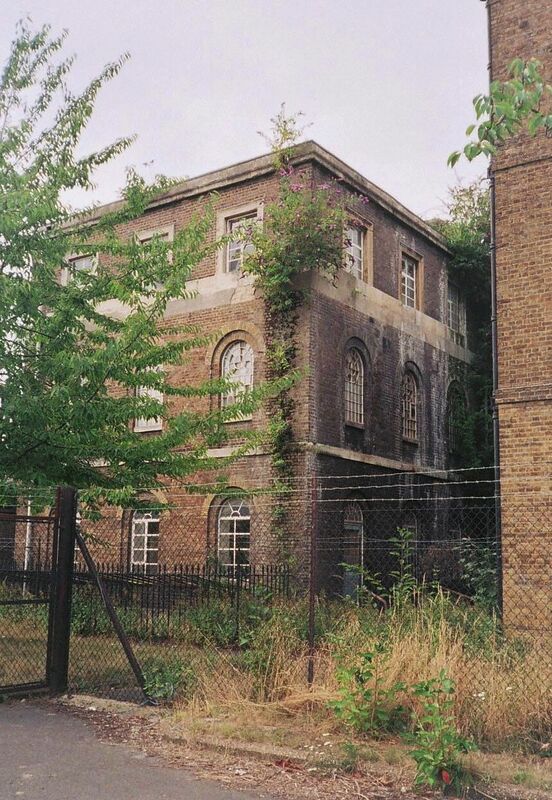 Death rates in Hanwell’s early years would be worryingly high by today’s standards, and more patients left the asylum in a box during its first decade than were discharged as “relieved” or “cured”. 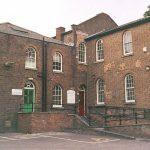 Of a total of 1,324 patients to leave the asylum during the years 1831-1841, 585 were “relieved” or “cured” but 739 had died at Hanwell. 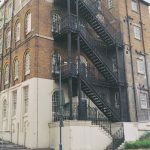 This was not disproportionately high in comparison to similar institutions during the same era, and generally reflected the extremely high death rates among the general, especially pauper, populace across Britain during the mid-19th Century. 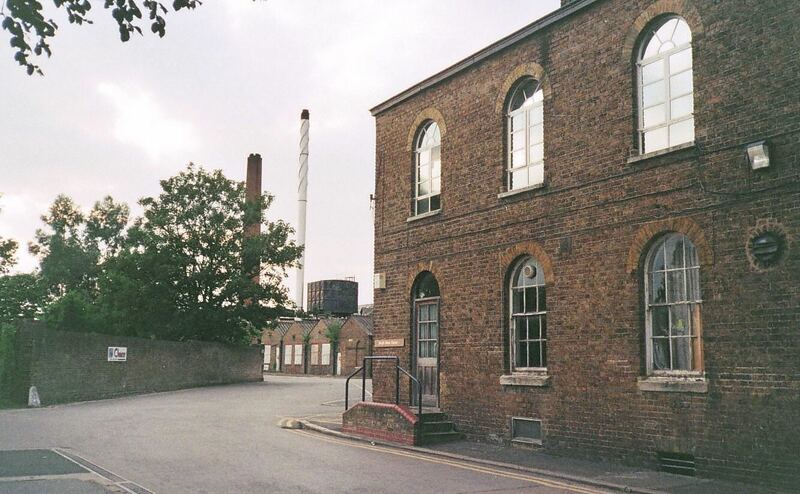 Dr Ellis would run Hanwell until 1839, alongside his wife Mildred, the first Matron. 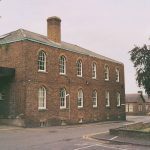 A former Apothecary, Ellis, born in Lincolnshire, had begun his mad-doctoring career in 1814 at Sculcoates Refuge in Hull – a small asylum modelled on the humane treatment principles the Quakers had developed at The Retreat in York. 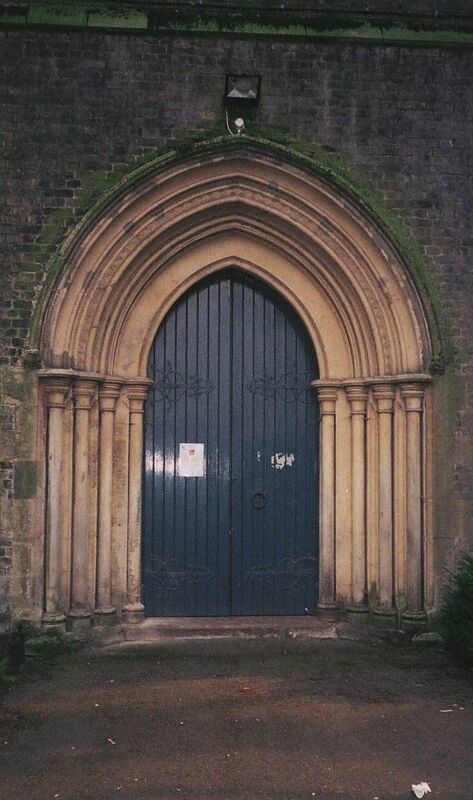 The Ellis’ regime was hugely influential and set the standard for other British County Asylums to live up to; most influential among Dr Ellis’ numerous writings was his seminal “A Treatise on the Nature, Causes, Symptoms and Treatment of Insanity”, which was published in book form toward the end of his career, in 1838. It is among the most important works of its time, and makes great advances toward the further categorisation of patients, which in turn made significant contributions toward more effective care and treatment for the insane. 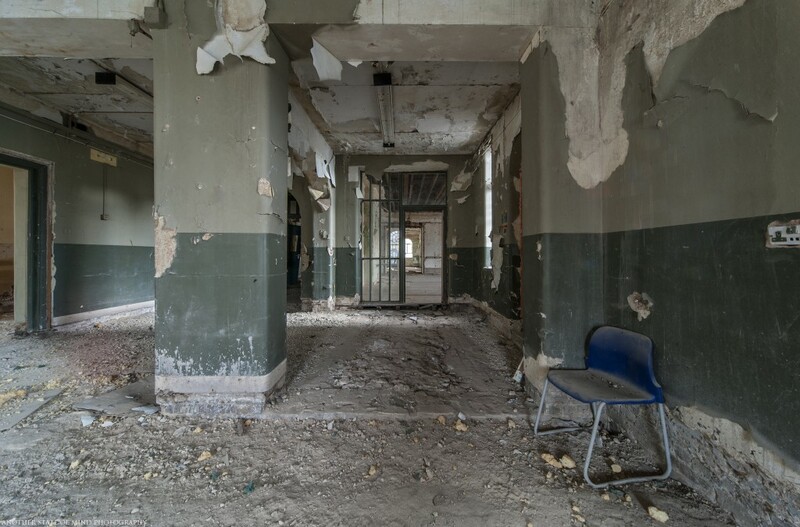 It also goes into detailed considerations around the construction of future asylums, and as such is key to the development of asylum design on an international level. Many of his ideas and suggestions, along with those of his successor, Dr John Connelly, also forming the core of the 1845 County Asylums Act, which saw the provision of County Asylums become mandatory for all county, city, borough and district authorities and the subsequent building of such institutions on a mass scale across Britain. 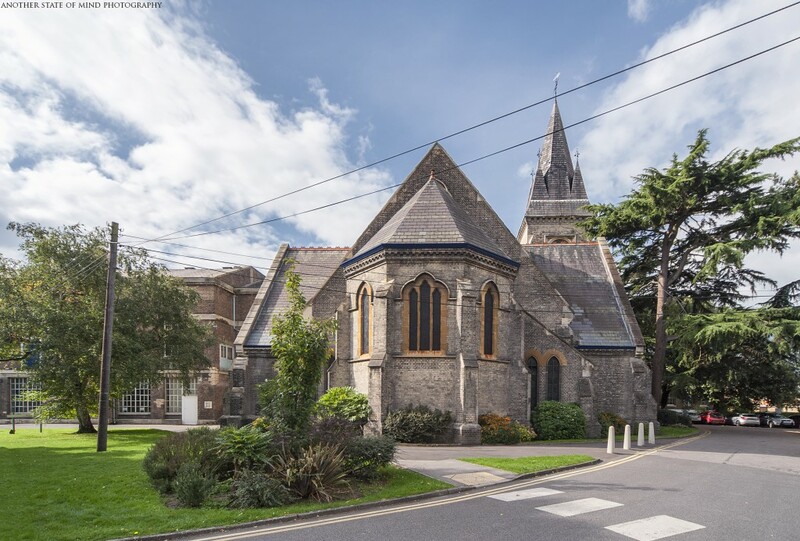 As Hanwell’s population increased, providing services for all patients became impossible; in 1880, a new recreation hall and handsome new chapel were completed, built onto the front of the admin block. 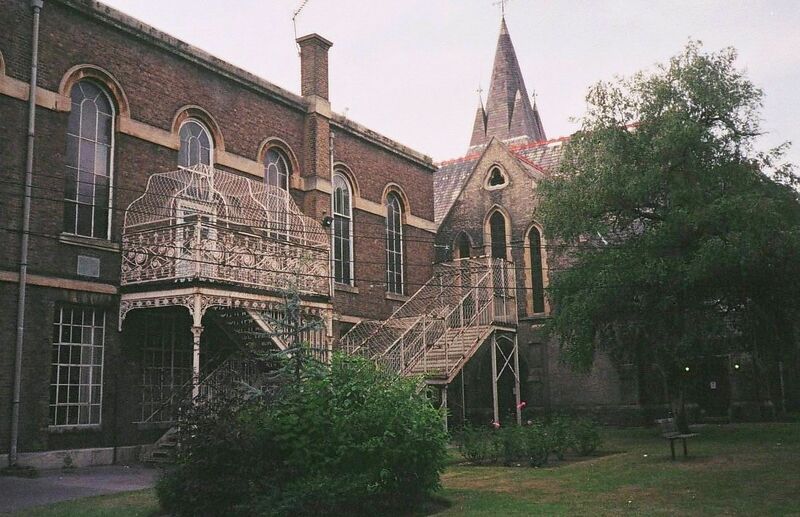 The clock tower was removed from admin (where it would now have been largely obscured) and the clock mechanism itself placed in the new chapel, making the chapel’s tower the building’s most prominent feature, where it could now been seen strikingly framed from outside the asylum by the main gateway’s arch. 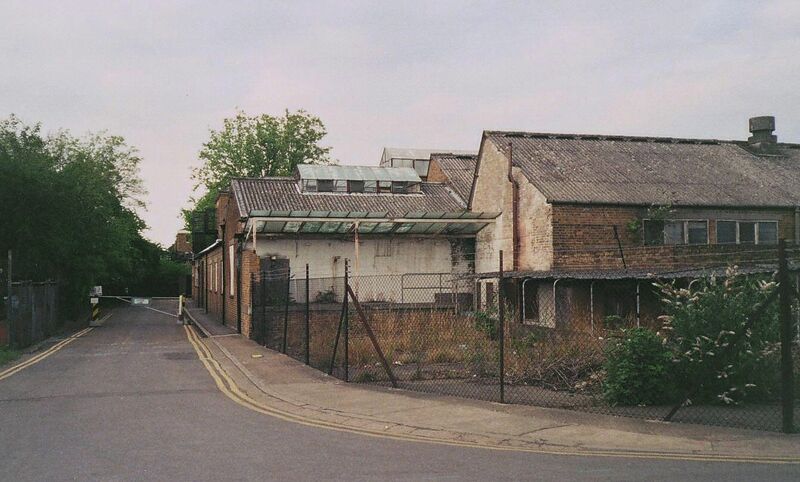 Despite Hanwell’s planned capacity of around 500 patients, the Committee had quickly pulled that figure back down to 300, ostensibly to acquiesce with Dr Ellis’ opinion that his work could not be productive with such a high patient population. 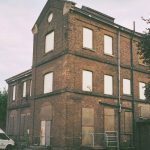 In reality, it was mainly due to a Committee rethink regarding the outcry which might have come from rate-payers being suddenly saddled with the cost of 500 lunatics housed at 9 shillings each per week. 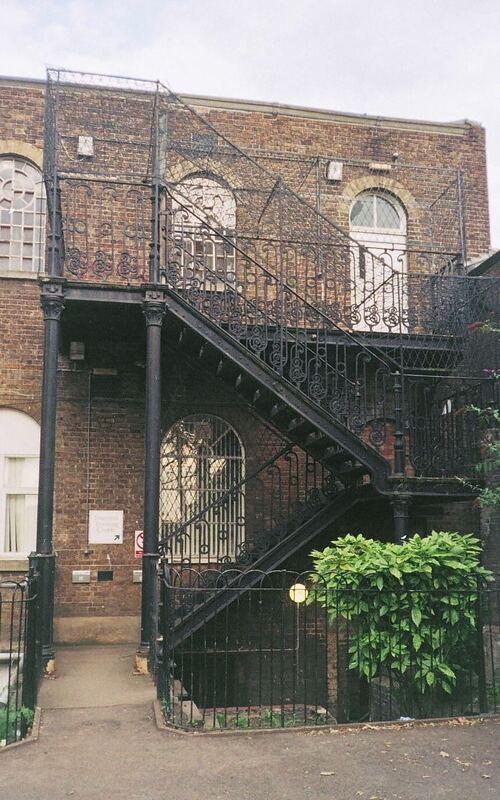 However, referrals came thick and fast, and the asylum was soon at its peak capacity of 500 patients regardless. 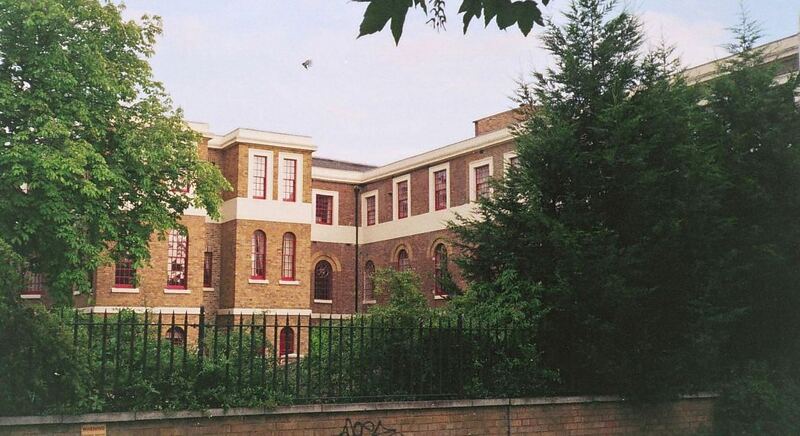 Tellingly, the first of many extensions, facilitated by Alderson’s initial design, was already underway by November 1831 – just 6 months after Hanwell opened. 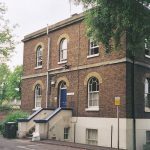 When, in 1837, Middlesex County Surveyor William Moseley (1799-1880) was called upon to complete designs for more significant extensions to the existing wings, it was too much for Dr Ellis. 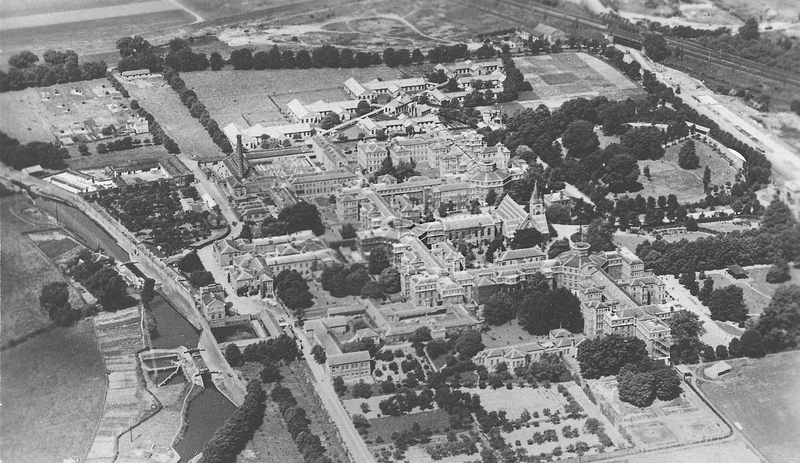 He professed to imagine an ideal asylum which provided its namesake in the purest of forms, expecting that all staff be eternally dedicated to the health and welfare of the patients, who would live in a healthy, spacious, productive environment under a regime tailored to their individual needs. He resigned in 1838 in protest at the Committee’s wishes to expand the asylum yet again. He was adamant that 300 were as many patients as could humanely be accommodated (although had mentioned as few as 120 at other times), even though Hanwell then held over 600. 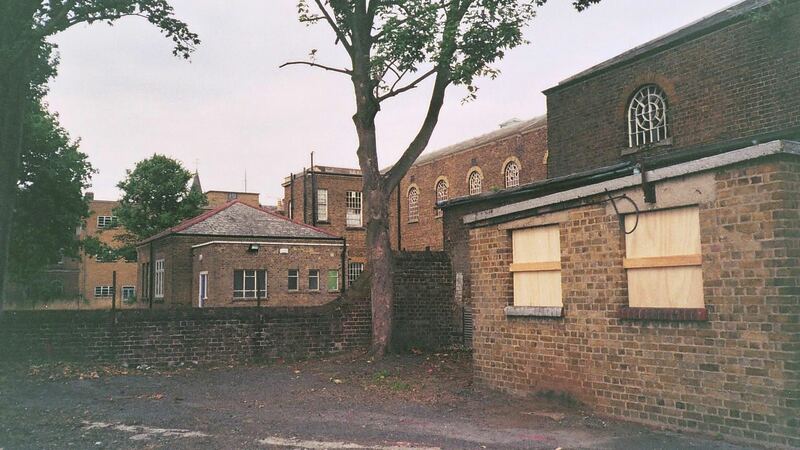 The new expansions began on the east side of the asylum; where the ground sloped away from the outer walls, the surrounding soil was dug away and the basements converted into wards which would contain another 115 patients, and additional blocks were added to the existing ones. 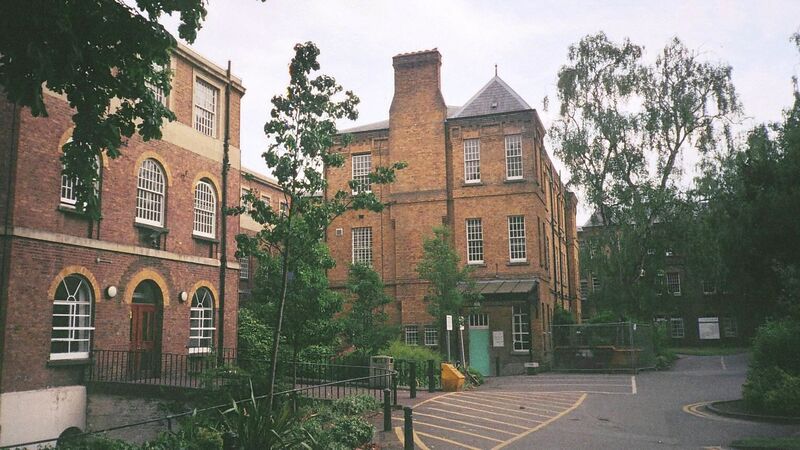 At Hanwell, expansions continued apace, with the patient population rising to over 800. Now in search of a new Superintendent, Dr Gideon John Millingen (1782-1862) was appointed to fill the role on an interim basis. Dr John Connolly (1794-1866) had applied for the Superintendent position following Dr Ellis’ resignation, but was blocked due to “political differences” with James Clitherow. 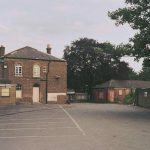 When Clitherow retired due to ill health in 1839, the rest of the Hanwell Committee was keen to appoint the esteemed Dr Connolly, and he was in place by June of the same year. 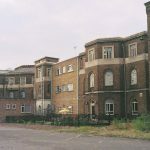 Dr Connolly rearranged the allocation of patients among the wards at Hanwell– the rooms nearest the administration block now contained newly-admitted, quiet and convalescent patients, with “infirm” wards at the ends. 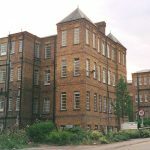 The next sets of wards on either side were allocated to epileptics and “troublesome” patients on the female side and calm epileptics and “orderly” patients on the male side. 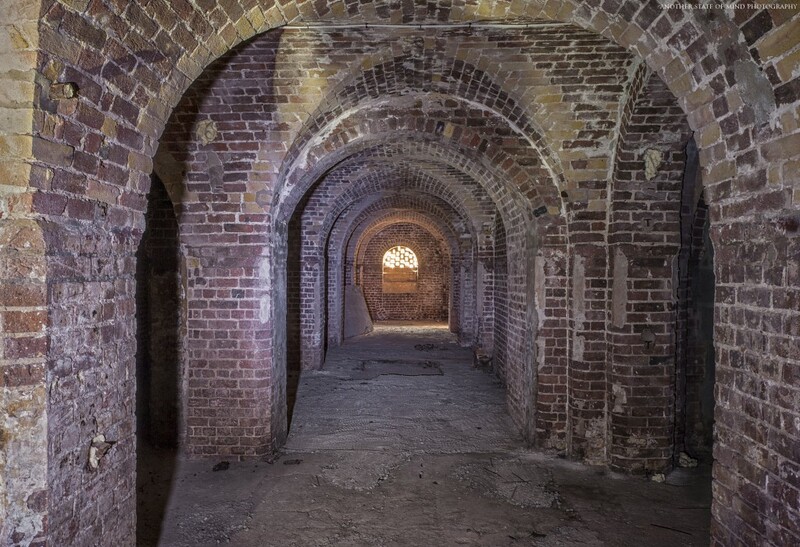 The basement ward which had been created on the male side contained “imbeciles” and the octagonal towers on each side contained the “clean and industrious”. 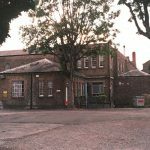 The next sets of wings, furthest away from the administration block, contained “noisy and dirty” patients, as was typical at asylums. By far the most significant of Dr Connolly’s changes would be his introduction of the controversial but ground-breaking “non-restraint” policy. Through this, he dared to hope that all forms of mechanical restraint might be abolished at Hanwell. Frequently mis-credited with having invented the non-restraint policy himself, in reality Dr Connolly’s ideas did of course not develop entirely in isolation. Rather, his bold choices were to become the most public face of a slow but steady change of opinion regarding the treatment of the insane, which was due to a wide variety of changing opinions in the field of mad-doctoring in general, as well as on-going social factors and ideas about social reform. 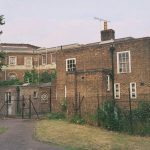 Dr Connolly frequently noted that the main influence on his adoption of the regime had been his observations of it in practice at The Lawn (aka The Lincoln Asylum). 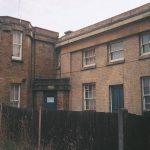 This was a public asylum which had opened in the heart of Lincoln city in 1820 to house 50 lunatics, with Dr Edward Parker Charlesworth (1783-1853) as Visiting Physician. Under Dr Charlesworth, The Lawn operated to a policy of humane treatment and strove to significantly reduce the use of all forms of restraint. 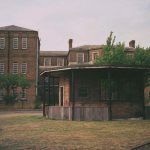 In 1829, the death of a patient who had been strapped down onto a bed had led to the introduction of a new policy whereby such restraint could only be used if an Attendant also sat in the same room as the patient, without leaving their side at any time. This policy meant that not only was the practice rendered more safe when it was used, it was also no longer employed as a simple time-saver by Attendants during the night, as it did not save them any time if they were obliged to remain by the patient’s side throughout the process, on punishment of dismissal or forfeiture of wages if caught not doing so. 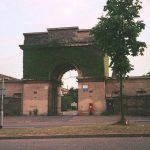 By July 1835, Dr Robert Gardiner Hill (1811-1878) had worked his way up from House Surgeon to Resident Medical Officer, which meant he was now in charge of The Lawn and although it now had 120 patients, it had for some time been managing for days on end without the employment of any mechanical restraint whatsoever; unheard of at any other British asylum of that size at the time. Dr Gardiner Hill resolved that all mechanical restraint should eventually be abolished and between 1834 and 1838, The Lawn managed to implement this policy with very few exceptions. 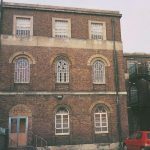 In 1837, the male side of the asylum had been run in such a manner with only one instance of restraint being used in over 16 consecutive months. 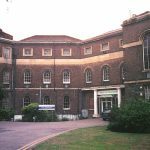 Dr Connolly had visited The Lawn and discussed non-restraint with Dr Gardiner Hill at length, but when he arrived at Hanwell, he found that around 40 patients on average were being subjected to some form of mechanical restraint every single day. He required that daily reports be made on any use of restraint, and then looked carefully into the reason it had been used in each case, offering guidance – and strict discipline where appropriate – to the staff that employed it. The use of mechanical restraint was gradually reduced, with only one male patient kept in restraints just 7 weeks after Dr Connolly’s appointment. By September 1839, its use had been abolished altogether. 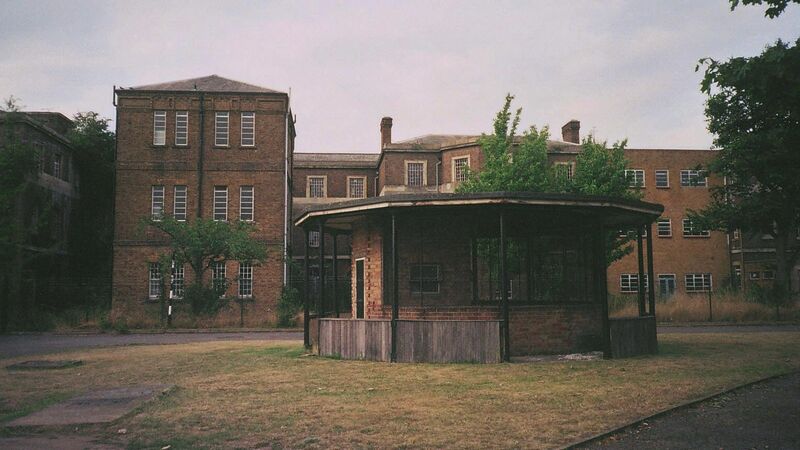 Dr Connolly’s position at the country’s largest County Asylum made him the most visible and memorable face of a movement which can be traced back through the work at The Lawn and the public asylums in Northampton (aka St Andrew’s) and the Suffolk County asylum (aka St Audry’), the work of his predecessor Dr Ellis (both at Hanwell and the West Riding Asylum beforehand), and the regime at The Retreat in York. It can also be taken further back to the work of Philippe Pinel (1745-1826), the “father of modern psychiatry”, at the Bicetre and Salpetriere hospitals in Paris, where the then-revolutionary idea that perhaps not every lunatic needed to be kept permanently in shackles and shut up in darkness had first been implemented on a large scale. The public and media outcry following the horrific death of James Norris at Bethlem in 1815 had also shocked many (particularly in the public sphere) into a serious rethink of attitudes toward the insane, and it was within this more progressive era that Dr Connolly had been influenced and would be influential. “…physical suffering and mental disorder were alike aggravated, and the severest methods of repression resorted to in wards where attention to sickness ought to have been the principal duty of the officers”. Another of Dr Connolly’s books “The Treatment of The Insane Without Mechanical Restraint” (1856) covered the subject of non-restraint in great depth, and became the “textbook” for the emerging practice. 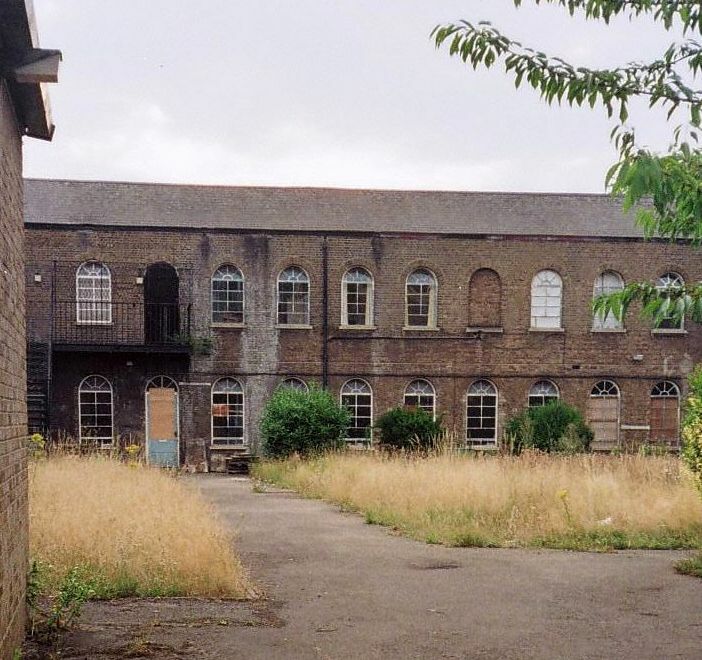 He described how such horrific scenes could be avoided, and how other methods beyond such restraint might be employed at asylums of any size, throughout the world, as they had at the world’s largest, Hanwell. 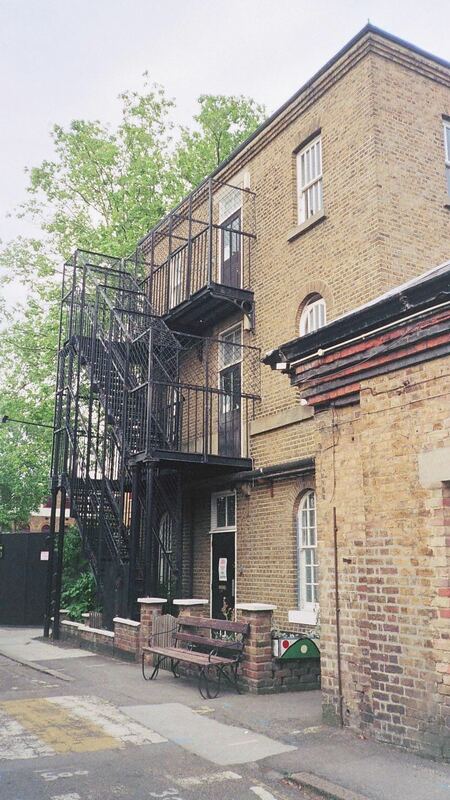 Dr Connolly also proposed alternatives to mechanical restraint, including short periods of seclusion, which was the preferred alternative during his tenure at Hanwell. 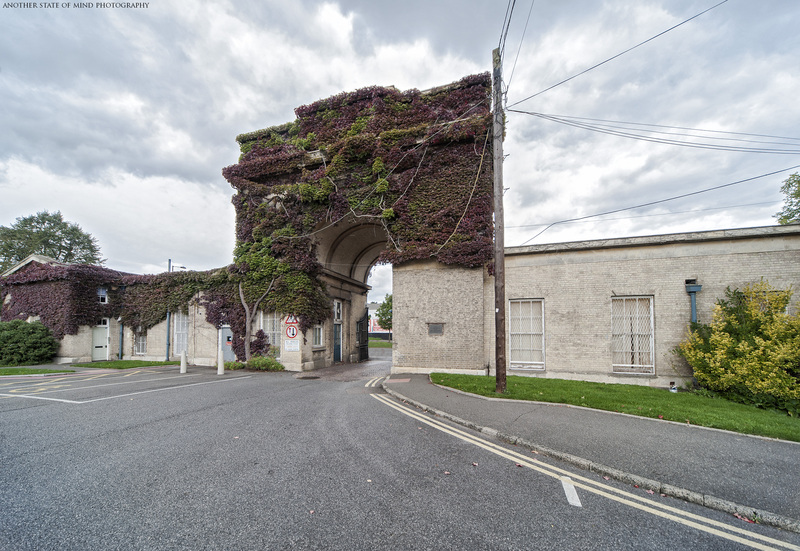 In Dr Connolly’s “The Construction and Government of Lunatic Asylums”, he took much the same approach Dr Ellis had before him, but built upon the old ideas, concepts and practices while updating them and continuing to innovate. 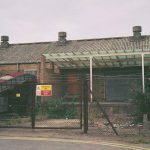 The book bestowed a very concrete summary of the thinking and knowledge behind the construction, arrangement, management and curative regimes at asylums by that time, and also pointed the way forward for future asylums. 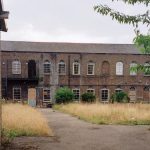 It was published just two years after the 1845 County Asylums Act made the building of public lunatic asylums mandatory for every county across England and Wales. In anticipation of the massive building projects ahead, Dr Connolly discussed and updated the minutiae of the asylum, from details such as the correct positioning of water closets and inspection panels, to heating and ventilation, airing courts, the best types of doors to use in different areas of the building, internal decoration, items to be kept in bedrooms… The list goes on and on, as indeed one might expect from what was essentially a manifesto for micro-planning and micro-managing an immense, self-sufficient community populated by people with very specific and often quite differing needs. 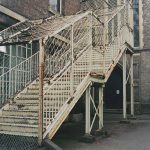 Along with Dr Ellis’ earlier observations, Dr Connolly’s were undoubtedly among the most influential of the following three or four decades – the period when the majority of Britain’s County Asylums would be built. He was also one of a small but important group of voices within the psychiatric community that argued against some of the findings and recommendations of the Lunacy Commission – an important role for someone whose opinions were respected and taken into account by so many. 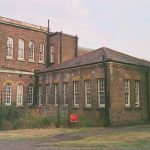 Dr Connolly urged prospective asylum Superintendents to understand that the work of patients within the asylum should not been seen as a means of production, as it was at a workhouse, nor a means of punishment as with prison, but rather a means of occupying unhappy minds and distracting them from “morbid” thoughts. 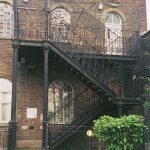 The concept of forcing paupers to work for their upkeep was quite deeply entrenched in the minds of many within the Victorian middle and upper classes, and so it took much effort from forceful and influential people like Dr Connolly to reverse the pervasive idea that the same should apply to pauper lunatics – especially when able-bodied or in convalescence. 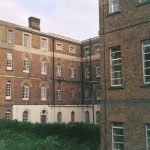 Books, newspapers and magazine were distributed throughout the asylum, and the patients were encouraged to read to themselves or each other, especially on Sundays, which Dr Connolly described as “the most difficult day in the week to manage them”. This was because work, games and many of the pastimes in which they could engage on other days and evenings were not seen as suitable activities for the “day of rest” and “the result of their idleness is a greater quantity of vice and mischief on that day than on any other in the week”. 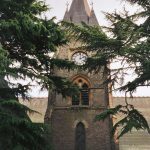 Unsurprisingly, brief periods of Sunday mornings, afternoons and evenings at least kept the patients occupied with religious services, which were also seen as another essential element to a patient’s happiness and recovery. 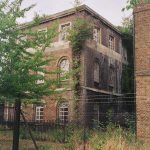 Unlike the regime at many earlier asylums, at Hanwell, Dr Connolly felt that guests and visitors were to be encouraged in most instances. He welcomed friends and family members into the wards, as well as encouraging staff to allow their own family members to become involved in life at Hanwell. 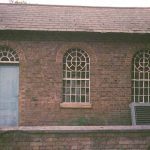 This included strongly “encouraging” Attendants and their families to attend their Sunday worship at the asylum rather than the local church, and he hoped this vested interest might then also extend to the Attendants taking a keener-than-usual interest in the dress and behaviour of the patients at services. 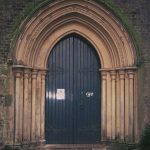 However, several sources report that the opportunity to sing and wear the “Sunday-best” meant services were usually attended with much keenness and anticipation on behalf of the patients, and that any disruption was rare. Dr John Connolly resigned as Superintendent in 1844, aggravated by plans from the JP’s & Committee to hand overall control of the asylum back to lay hands, with only a “Visiting” Physician in their employ – a role Dr Connolly actually took up until 1852, while also running his own private asylums; Lawn House (note the tribute to the Lincoln asylum) and Hayes Park. He continued to keep his name in the news, being frequently called upon to give court evidence in criminal cases where the defendant’s sanity was under question, and indeed had to appear in court as defendant himself when charged (and convicted) for his involvement in the illegal detention of an alcoholic at a private asylum. 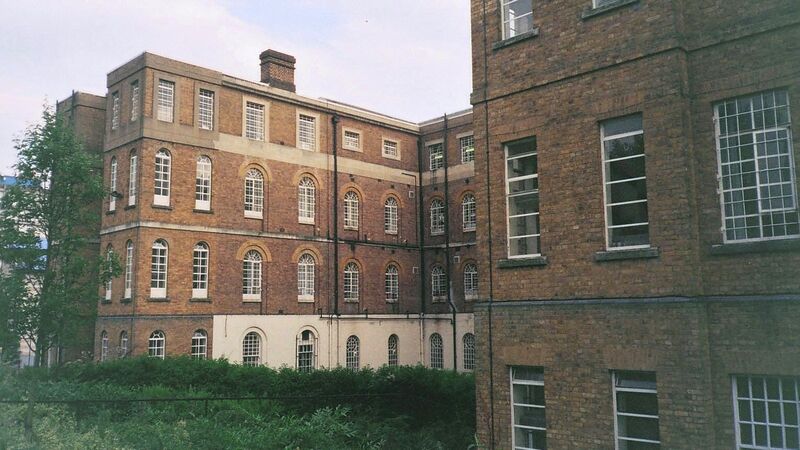 Beginning in 1857, massive expansion took place in the form of an entire new floor being added to all the main ward blocks across the building – this third floor, which can now be clearly identified by the flat tops to the windows (as opposed to the arches of the two original floors) expanded the available ward space by almost one third. 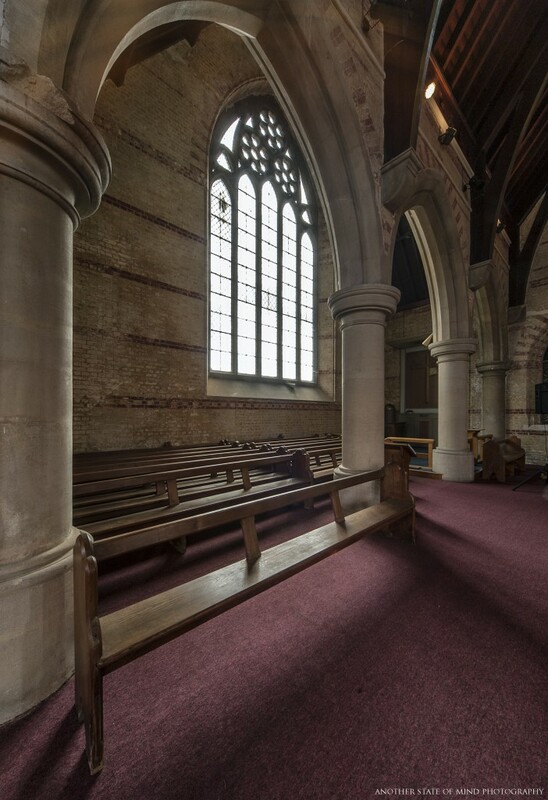 Further expansions too place in 1879, and the new chapel was built in 1880. As a result of the Local Government Act of 1888, which saw England divided up into separate areas of local jurisdiction based on counties, cities and county-boroughs, London became its own “county” and the county of Middlesex shrank accordingly. 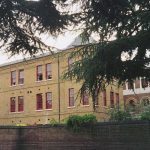 Hanwell was handed over to the new London County Council in 1889, and its formal name was changed to “London County Asylum, Hanwell”. 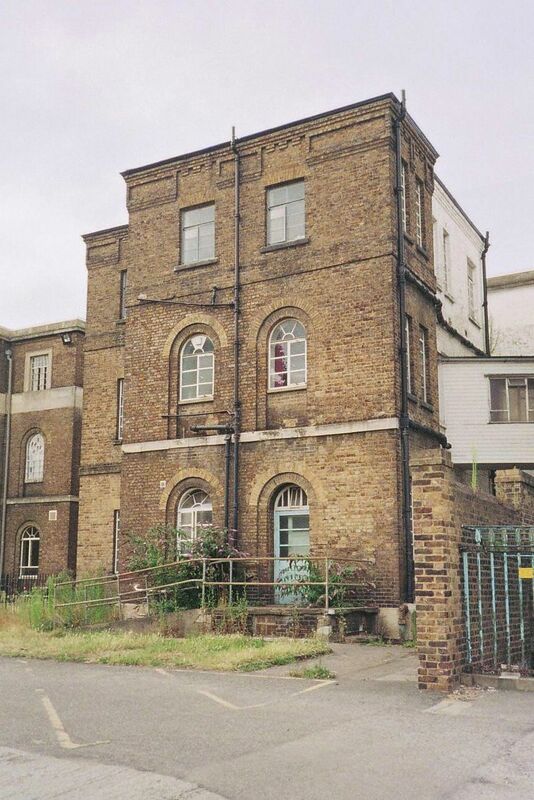 At that time it contained 1,891 patients, cared for by 139 members of staff – a ratio of around 16 patients to one staff member, taking into account those staff who did not have direct contact with patients, and in keeping with a sadly somewhat less progressive attitude of the time, mechanical restraint was reintroduced in 1890. 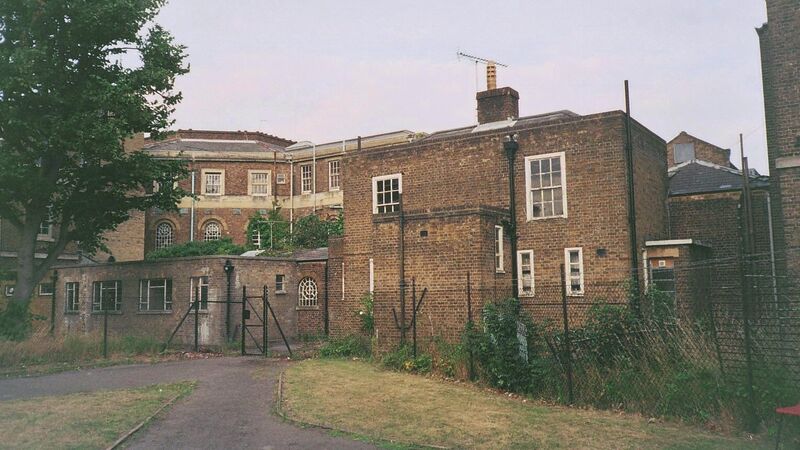 In 1918, Hanwell’s formal title was again changed, this time to “London County Mental Hospital, Hanwell”, in a progressive move that pre-empted the 1959 Mental Health Act, which among other stipulations, forbade the use of the term “asylum” in favour of “mental hospital” and in 1929, the stationery-makers were again kept busy with another formal title change, this time to the shorter “Hanwell Mental Hospital”. 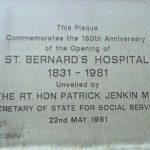 In 1937, Hanwell’s formal name was changed for the last time, to “St Bernard’s Hospital”, again pre-empting a move that would later be implemented across all Britain’s existing Mental Hospitals, as “mental” was to be dropped universally in favour of the simple “hospital” suffix. 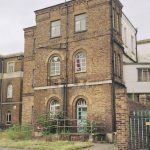 During World War 2, one ward was commandeered by the Emergency Medical Services, who set up a General Hospital for casualties within. 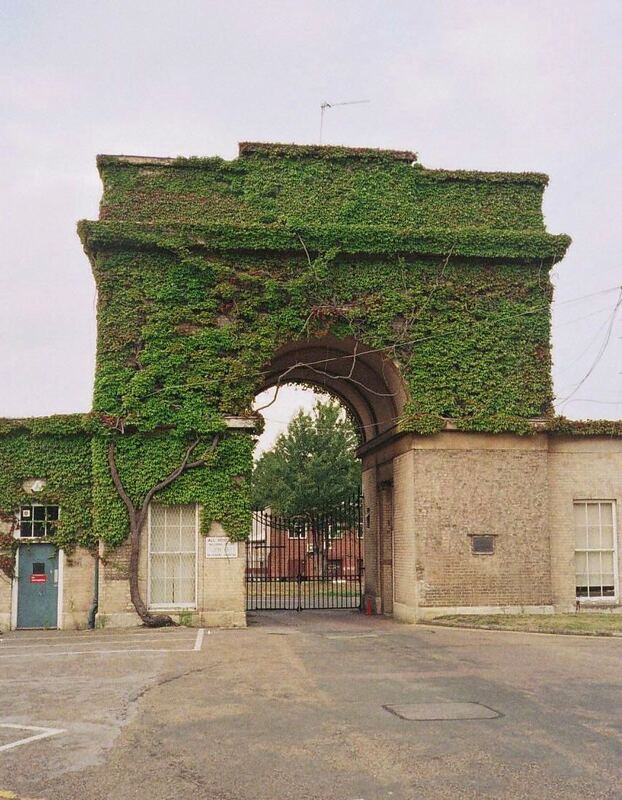 Hanwell was situated close to the AEC factory on Windmill Lane and the Wharncliffe viaduct – an important rail link – and several German bombs landed in the area, causing minor damage to the grounds and buildings, including one of the gatehouses. 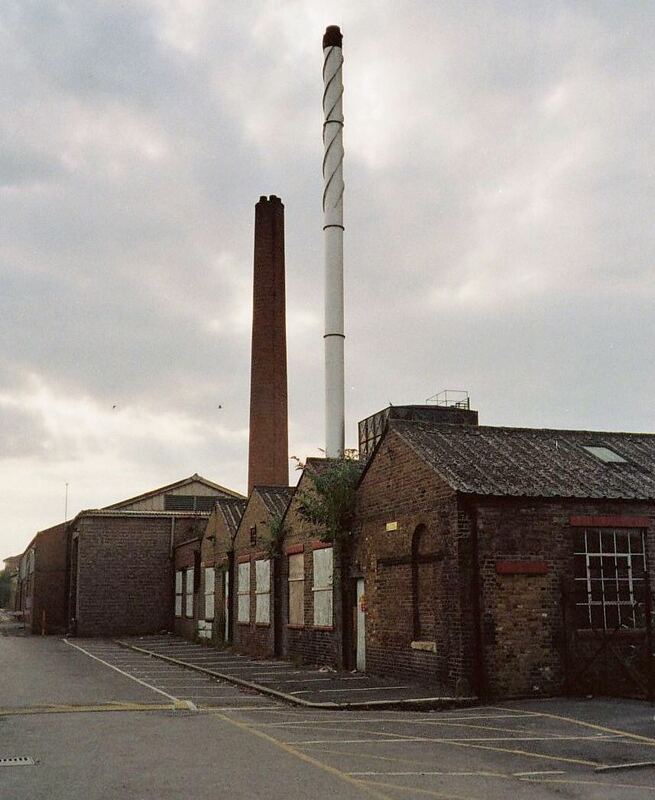 However, in 1944, the original laundry was completely destroyed by a stray V1 (aka “doodlebug”) flying bomb, which hit the laundry, killing several workers and patients, as well as injuring numerous others. 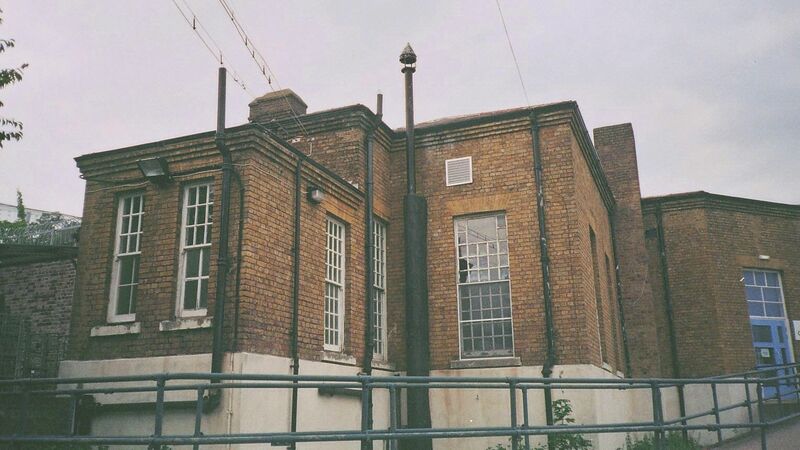 Along with all of Britain’s public mental hospitals, Hanwell joined the NHS in 1948, becoming known as St Bernard’s Hospital, coming under the jurisdiction of the North West Metropolitan Region, and a Hospital Management Committee was formed for its continued administration. 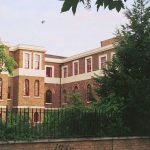 Like most former asylums, this has changed numerous times over the years as borders, boundaries and other areas of jurisdiction have shifted, but St Bernard’s is now managed by West London & Thames Mental Health Trust. 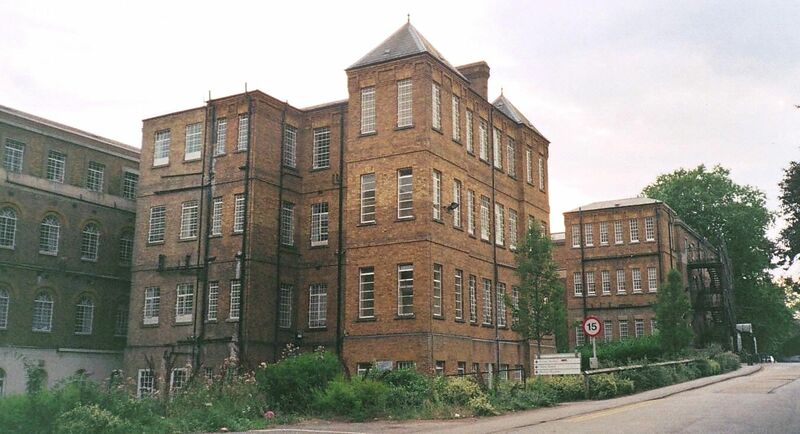 During the 1980’s, the District Health Authority took to causing confusing by referring to the entire site as “Ealing Hospital” (despite containing Ealing General Hospital and St Bernard’s Hospital – two very different buildings run by completely different NHS Trusts), leading to the former “Hanwell Asylum” suffering something of an identity crisis in more recent years. 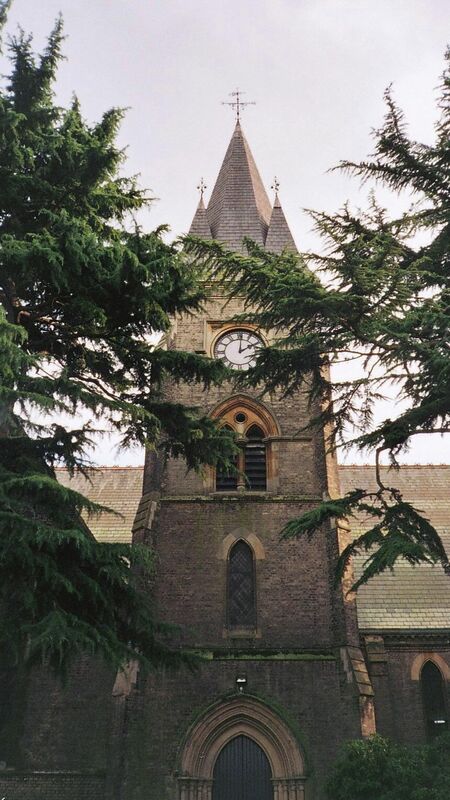 As they tend to, people referred to it by the name they knew best or which felt most comfortable, with the site variously referred to as St Bernard’s, Hanwell, Ealing, etc., and during the 1990’s, somewhat bizarrely it was caught in an administration-driven nomenclative black hole which left it with no official title at all, until becoming St Bernard’s Hospital once more in 1992. 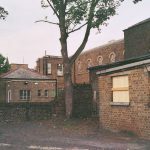 In the 1970’s, most of the land to the front of the asylum was used to build staff housing, almost completely obscuring the view of the asylum’s facade, but retaining the impressive view from the gate-lodges down to the chapel. 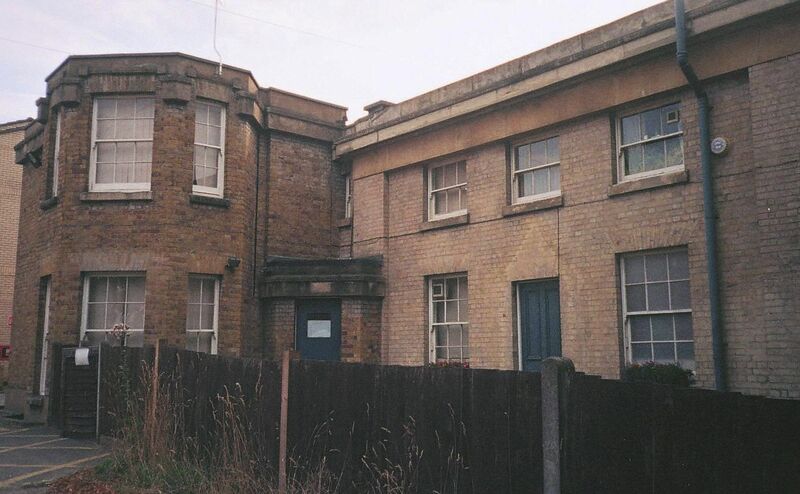 In 1985, the “Three Bridges” Regional Secure Unit opened on land at the rear of the asylum. 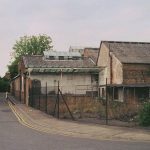 Initially it was contained within four walls which once made up the mortuary and its connected burial ground, however the unit was built over the top of this, and due to expansion, has now seen most of the walls also pulled down. 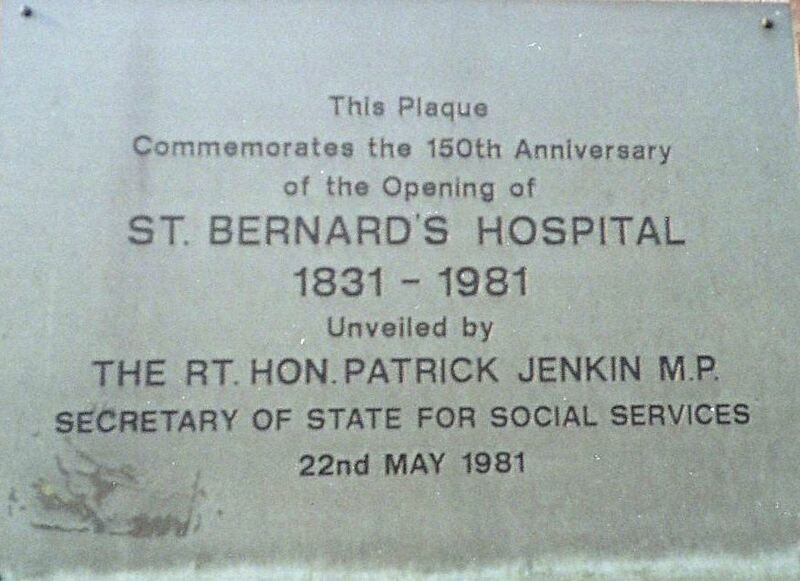 The unit has a ward named after the poet and mental health campaigner Benjamin Zephaniah. 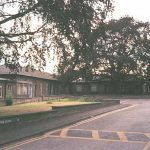 In July 1992 the John Conolly Wing (JCW) was opened to incorporate the adult acute, rehabilitation, and elderly mentally ill wards. 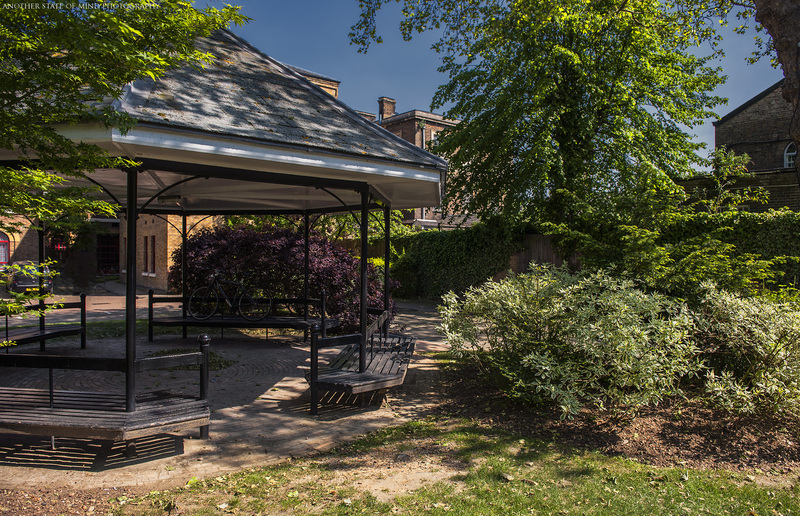 The ground floor has a room each for art and music therapy, plus a dining area, whilst on the first floor is a post room and Electro-convulsive therapy (ECT) suite, phlebotomy and offices. 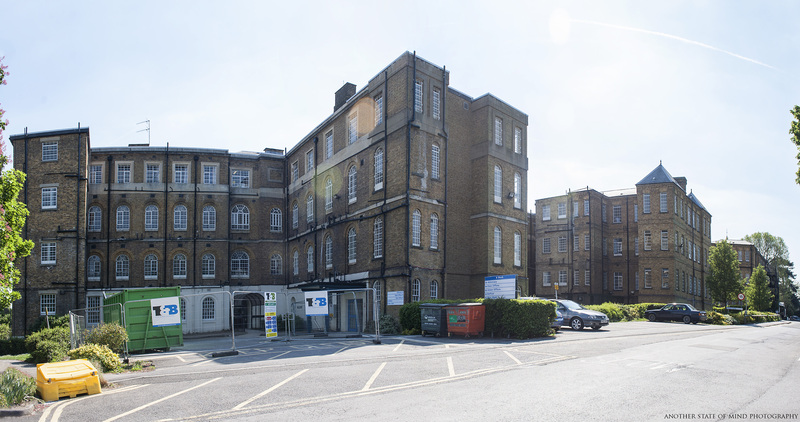 The first floor lobby of the wing is physically connected to the Ealing General Hospital by an aerial corridor which spans the service road between the two, but this is now closed-off. 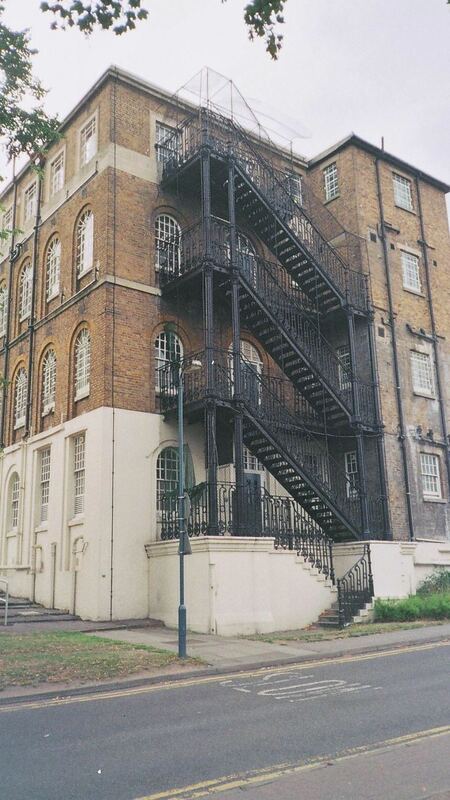 In 1998, the exterior brickwork was acid-cleaned, stripping away over 160 years of “London grime” to turn the black/grey look back to the more yellow hue it originally sported, with netting strategically placed to keep the ever-destructive pigeons at bay. 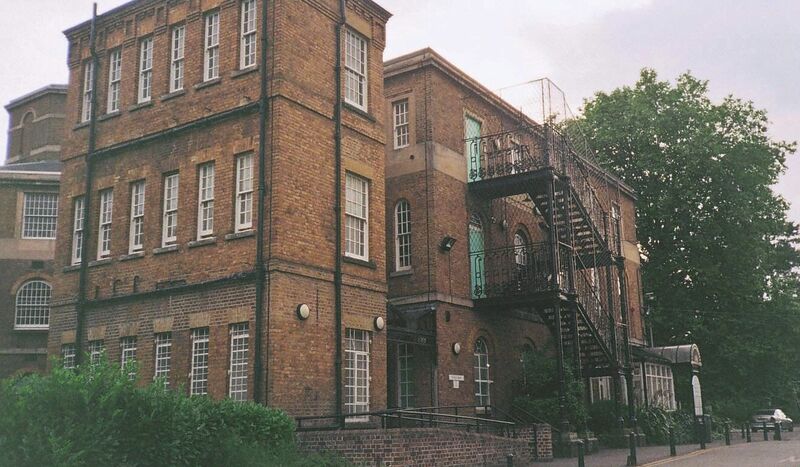 In 2001, the Tony Hillis Wing opened, named for the formerly Deputy Director of Nursing at St Bernard’s, and serves as the medium secure unit for the catchment area of the London Boroughs of Ealing, Kensington, Chelsea, Westminster, Hillingdon, Brent, Harrow and Barnet, as well as North Hertfordshire and Bedfordshire. 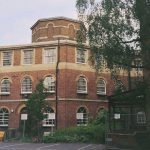 The Wells Unit opened in 2006, catering for in-patient adolescents aged 12 to 18, and providing statutory education alongside mental health care. 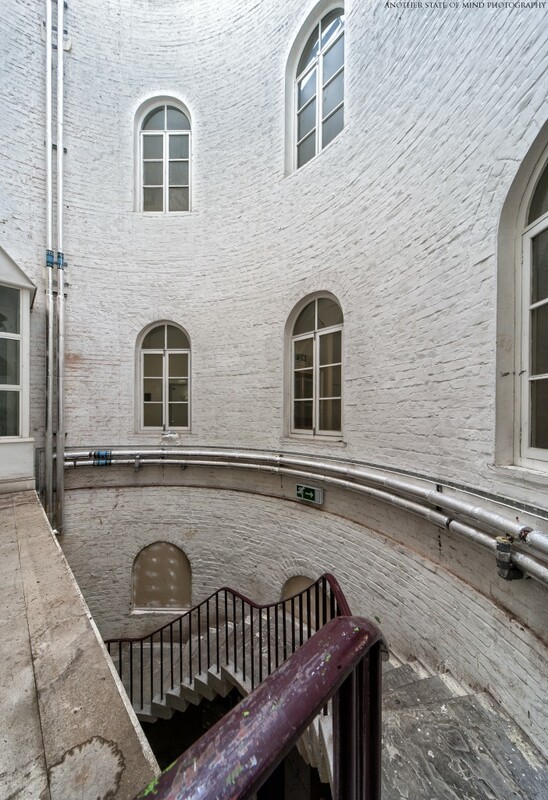 It is named after the well which was sunk on site during the asylum’s construction, and which still exists on site today. 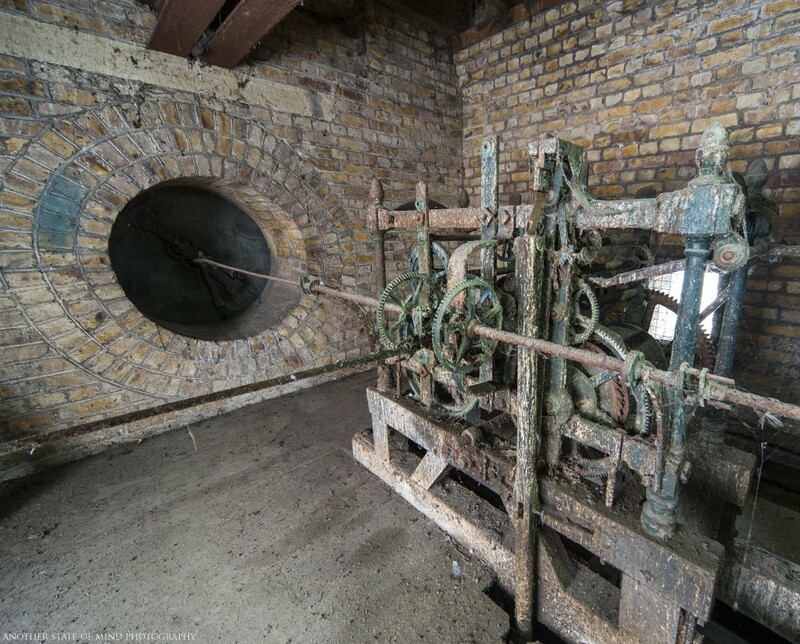 It shaft was 31ft deep, with a further 209 ft below that, and constructed from brickwork in cement, with the water rising into a tank, 20 ft above the ground-floor of the asylum without the aid of pumps, at a ratio of 90,000 gallons per day. “an emphasis on creating an environment and therapy regime which is gender-sensitive. This will be especially useful for patients who have suffered long periods of trauma as children and as a consequence, have been unable to go on to integrate normally with other people as adults. 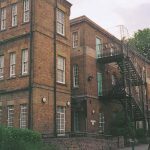 Victims can repeatedly come to the attention of other areas of the health service as the frustration and anger they feel at this isolation, express itself as suicide, self-harm or aggression and other types of challenging behaviour. Also, there is a tendency or drive to seek some respite and shut off these feelings. This is often by self-medicating with drink and drugs. Such activities may have brought them to the attention of the law courts frequently. The new unit provides both a safe physical and emotional space, in which they can discover normal responses. The 24/7 enhanced nature of the service also promises to give a chance for new and more beneficial behaviour to be discovered and explored, and to practice these new ways of interacting with other people until it becomes established in a variety of every day situations (which the design of the building and intensive therapy endeavour to provide). 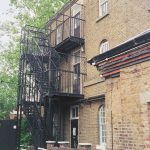 There is some good evidence to suggest that this significantly reduces the chances of re-offending once discharged from hospital and the staff will be aiding further research to improve outcomes still further. 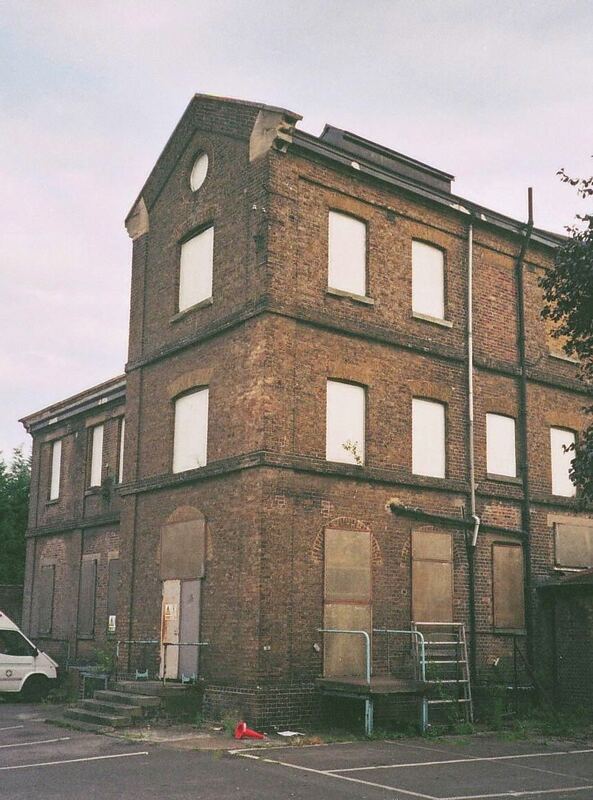 The public consultation process for the construction of the new Orchard Centre was not without controversy, as original plans meant that the upper floors of the building would interrupt the view along the canal – a view which is of great importance to locals, as well as historically significant for its appearance in several notable travelogues from the Victorian era to the present day, and which has cropped up as a backdrop in numerous films and TV productions. 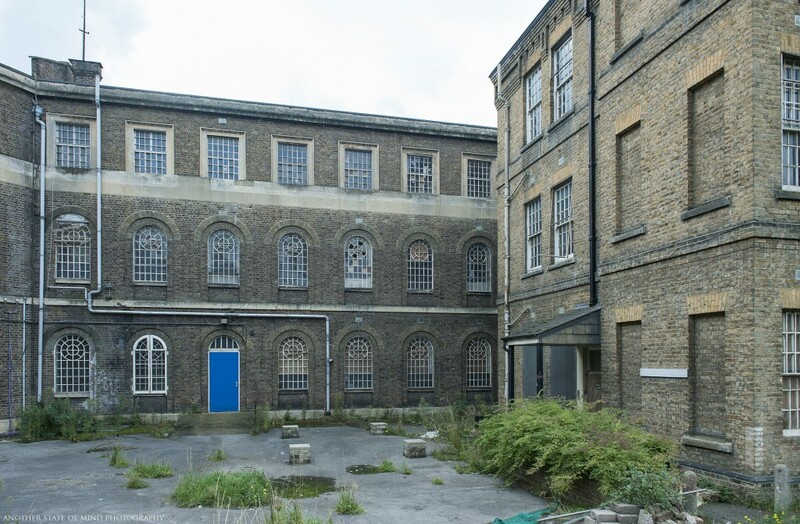 Plans also included demolishing some of the original Grade II Listed asylum buildings. 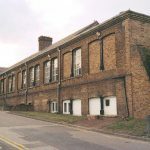 Local residents of the modern housing estate (built on the former asylum grounds) were also not particularly happy that the occupants of the unit would be able to look out at them during their favourite walk, and so the original plans were scrapped, and then re-submitted with the foundations of the building lowered to ensure that the upper floors would remain below the original asylum wall, and therefore all but invisible from the tow path which curls around the back of the asylum grounds. 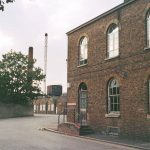 Planning permission was granted following these changes, but not to the satisfaction of all, as police had to forcibly removed protesters from the public gallery, and the Trust had to build the Centre a little way further out than planned – although they were given permission to destroy some of the original buildings (including the boiler houses), they were not allowed to interfere with the original boundary wall or the aforementioned Victorian well. 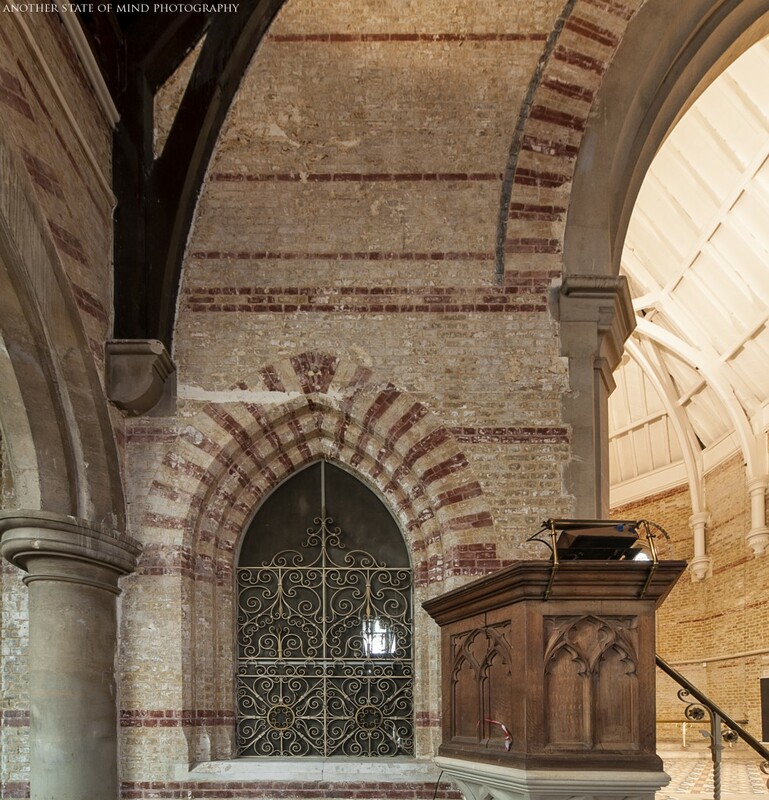 The asylum chapel, which had previously housed a museum devoted to the site, was renovated from 2009 in £1million restoration project, and is now used for both community and out-patient psychiatric purposes. 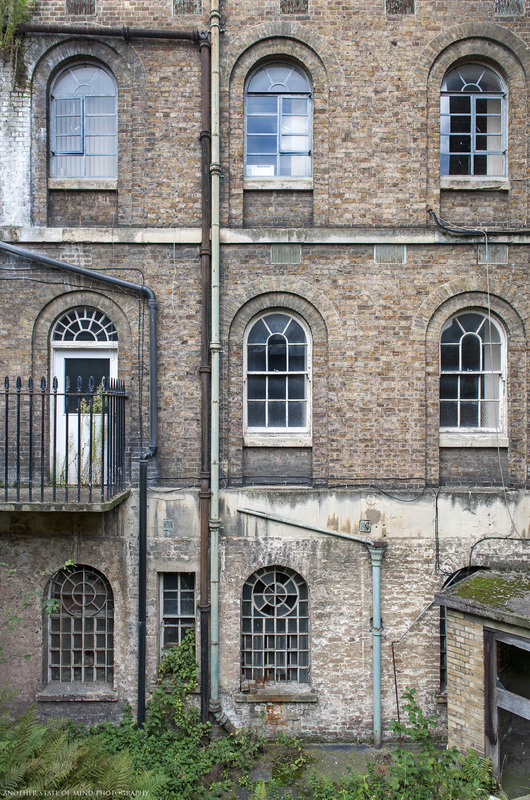 In 2014, conversion began to turn the central parts of the building and remaining unoccupied west wings into housing, which will leave approximately one-third of the original buildings in psychiatric use for the forseeable future, and the rest as luxury housing. 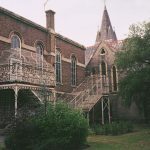 St Bernard’s has been spared the fate of most former Victorian asylums partly due its listed status, but also as a result of the sensible approach taken by WLTMHT which has seen the disused areas sold and put to new use before falling into a daunting state of disrepair, or having waited until the entire building was empty and presenting would-be developers with one huge, unwieldy single site to redevelop all at once. 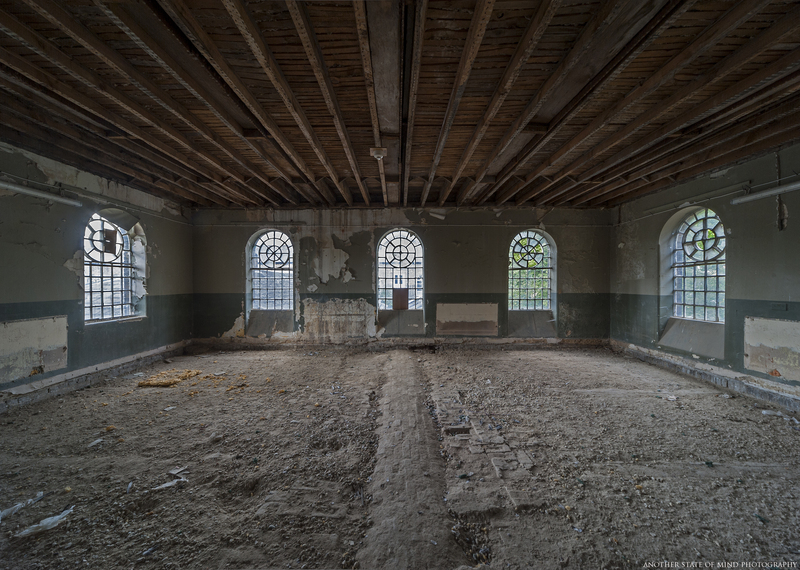 Had this approach been taken at all asylums – with individual wards or entire buildings not being left empty for years or even decades before being offered for development, we may have seen a few more survive. 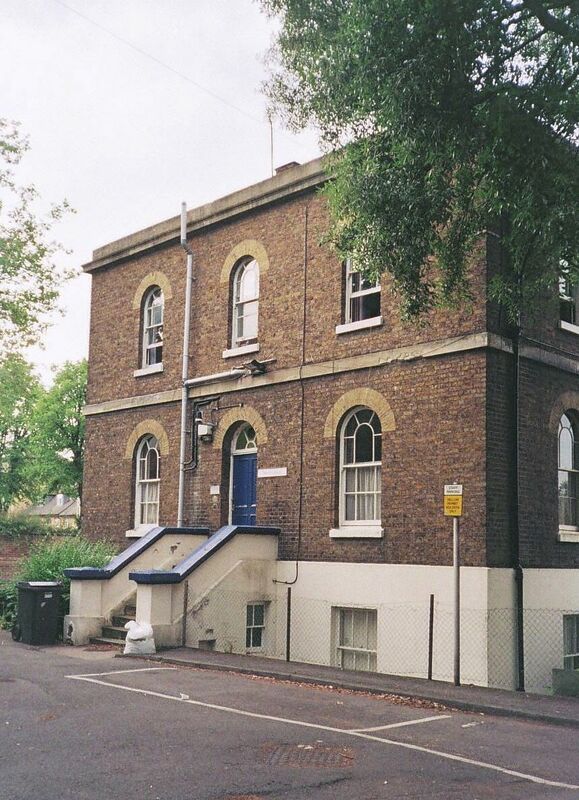 Male wards after conversion to housing. 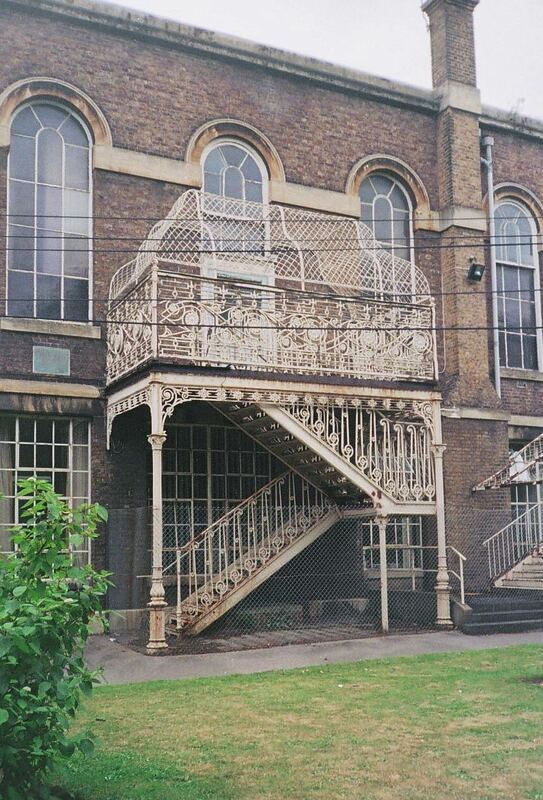 Victorian fire escape at male ward. 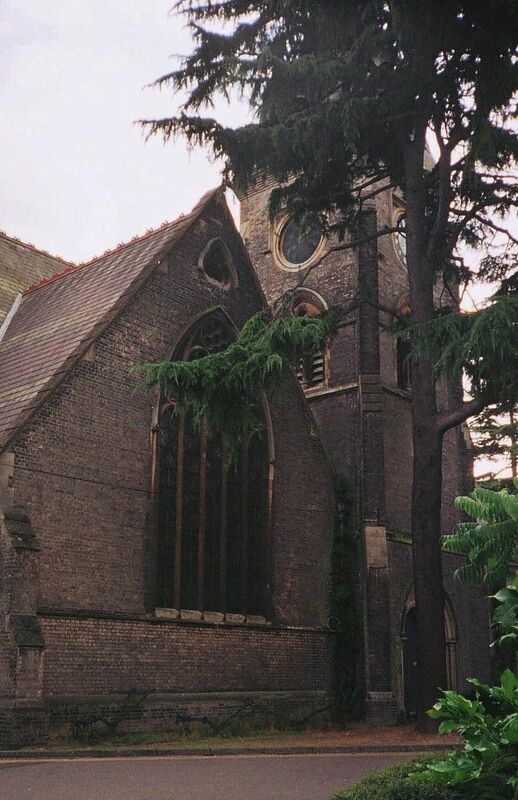 Panorama of rear (south) side. 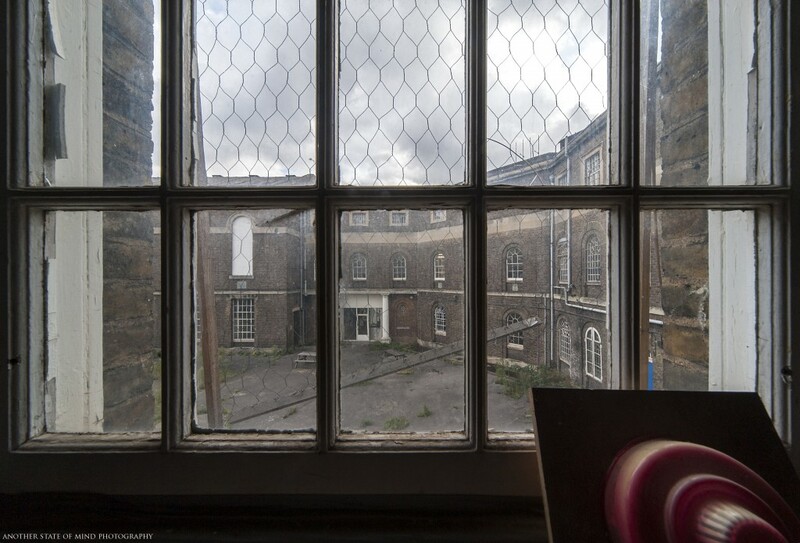 View from male ward to airing court.